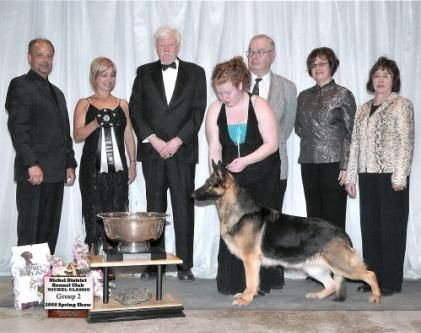 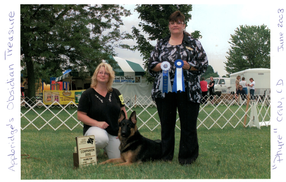 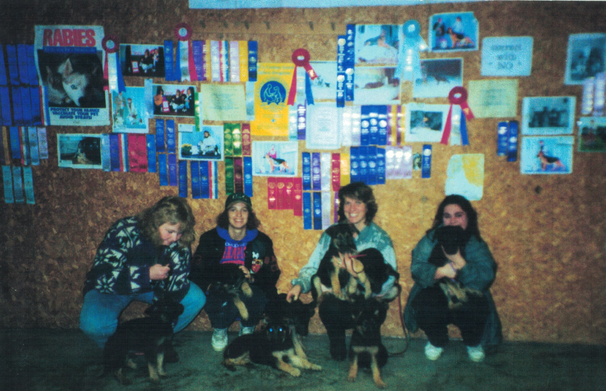 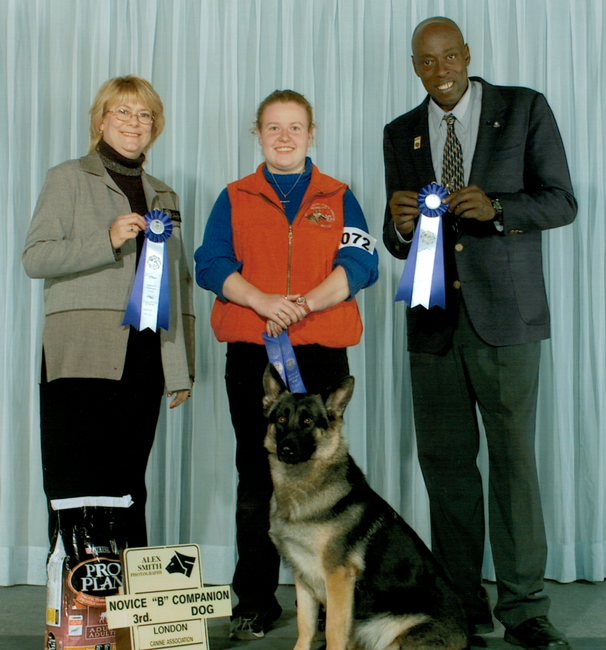 Proudly sharing with North America outstanding dogs that we have bred, co-bred and coached to stardom. 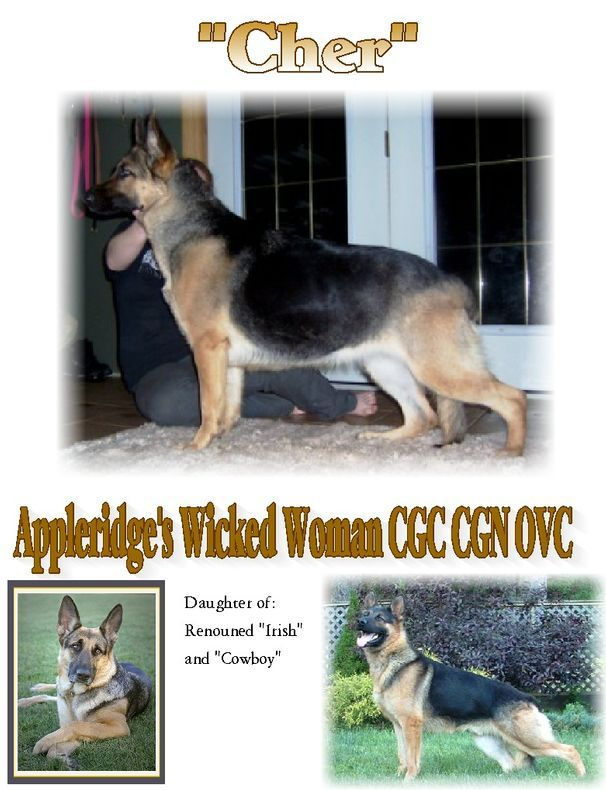 Appleridge is about education and sharing the knowledge, with the generations to come. 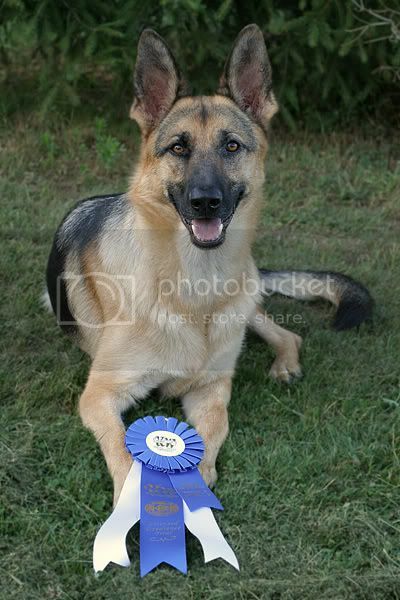 There is no greater achievement than to help others succeed too. 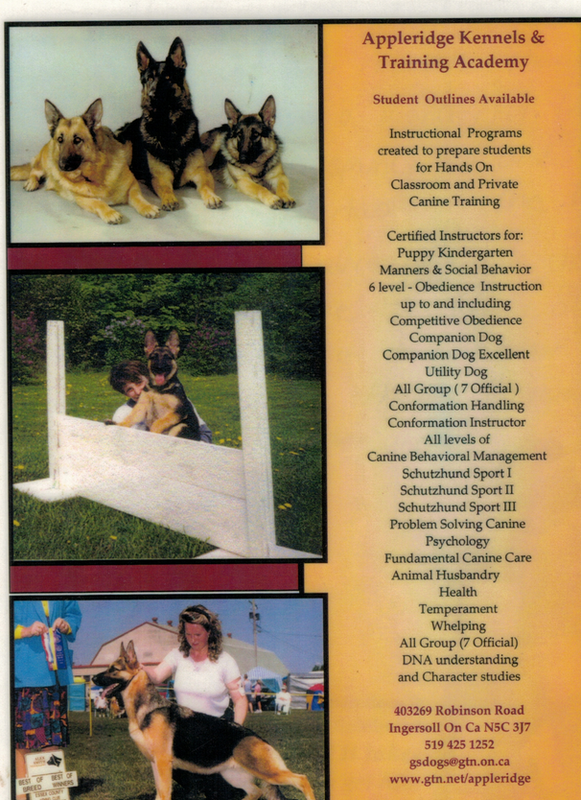 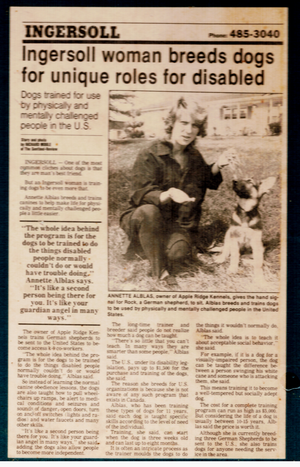 Decades dedicated to Teaching and Coaching trainers, breeders, professionals and Individuals, on how to better their relationship with their dog. 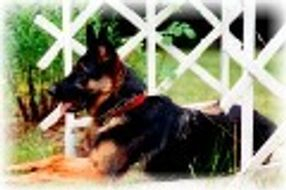 Understanding the sciences behind communicating with their best friend. 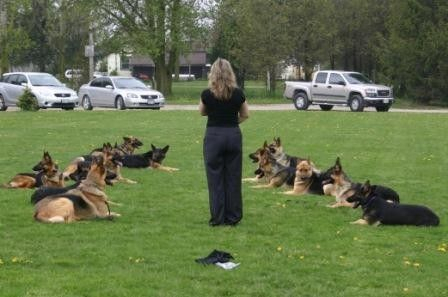 Being a better team member changes lives and improves animal human relations in the communities around them. 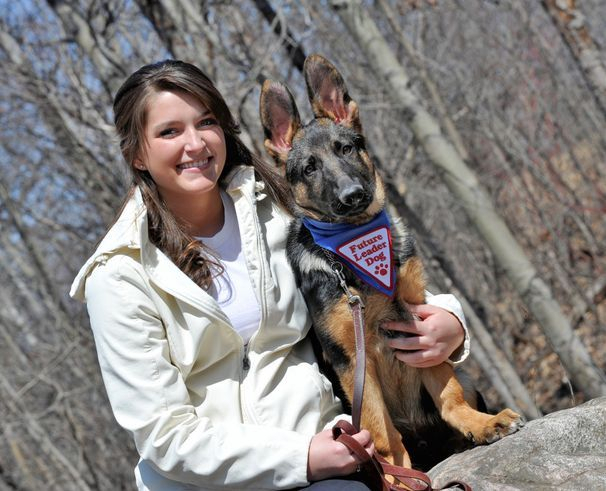 We are very proud of each and every dog and their wonderful owners for all they do! 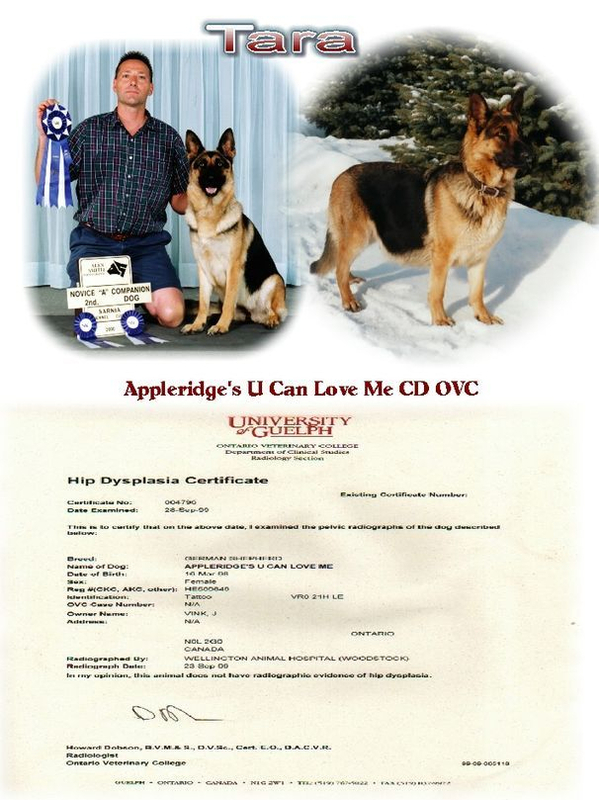 Appleridge are also including OVC OFA certification as an accomplishment because in our eyes no accomplishment is greater than good health! 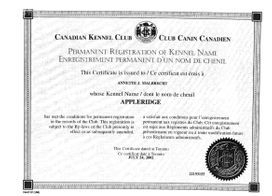 We are proud of each and every dog that leaves us here at Appleridge, and we encourage everyone even if the dog leaves as just a "pet" to try your hardest with your dog and see what kind of goals you can achieve . 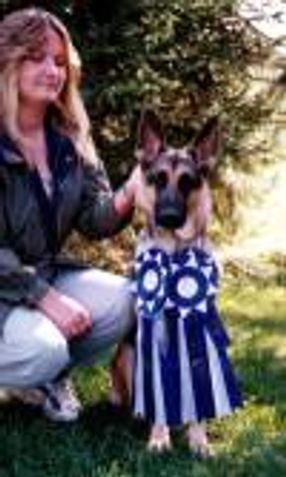 Many dogs are purchased for showing or breeding etc, however just because you buy your puppy as a pet doesn't mean the fun stops there. 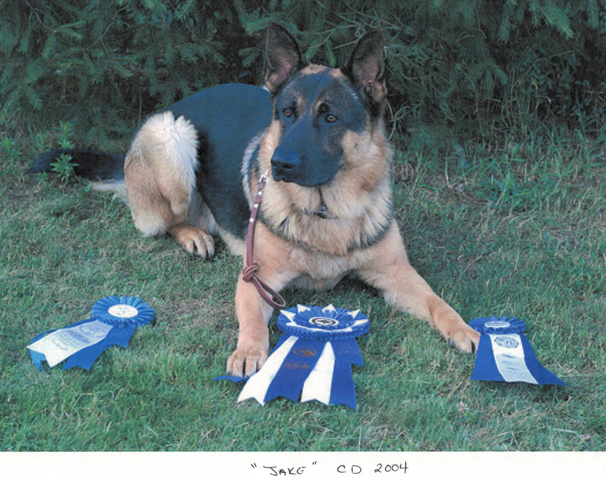 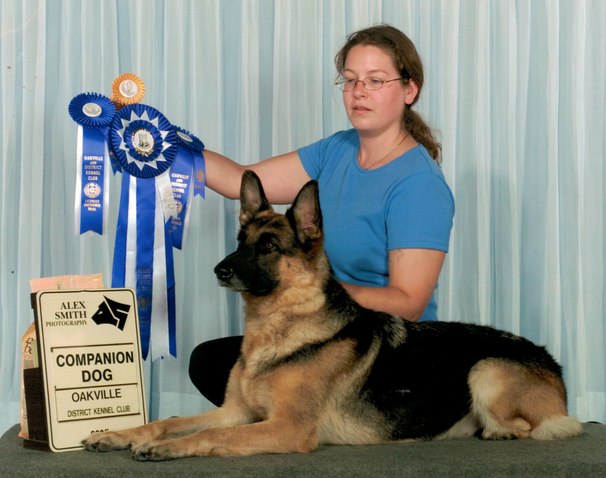 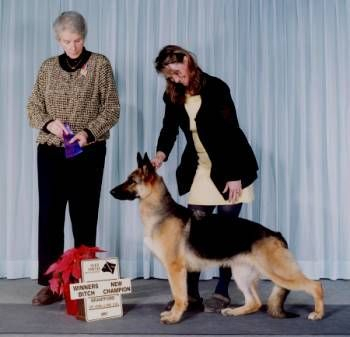 Many titles can be achieved by fixed dogs, some are left open only to those ideally used for breeding. 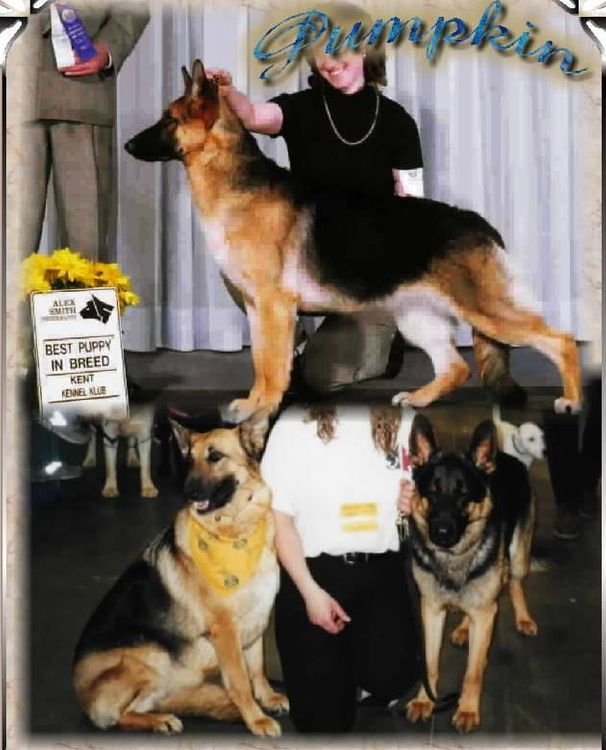 The dogs shown below are mostly family pets, who chose to see what they could truly accomplish with the amazing breed they were so blessed to own. 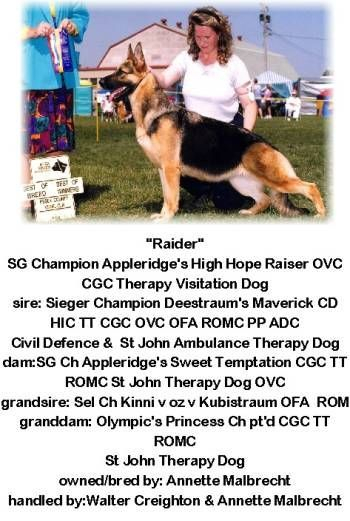 However famous or smart, trained or just an amazing companion, who knows what could come next for Appleridge!! 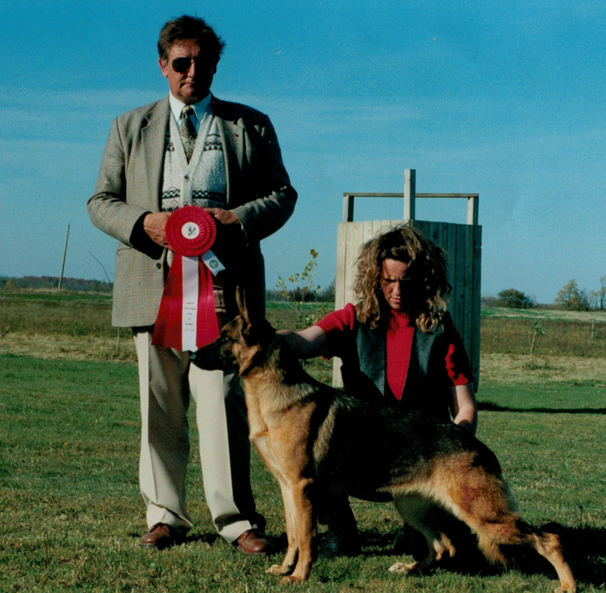 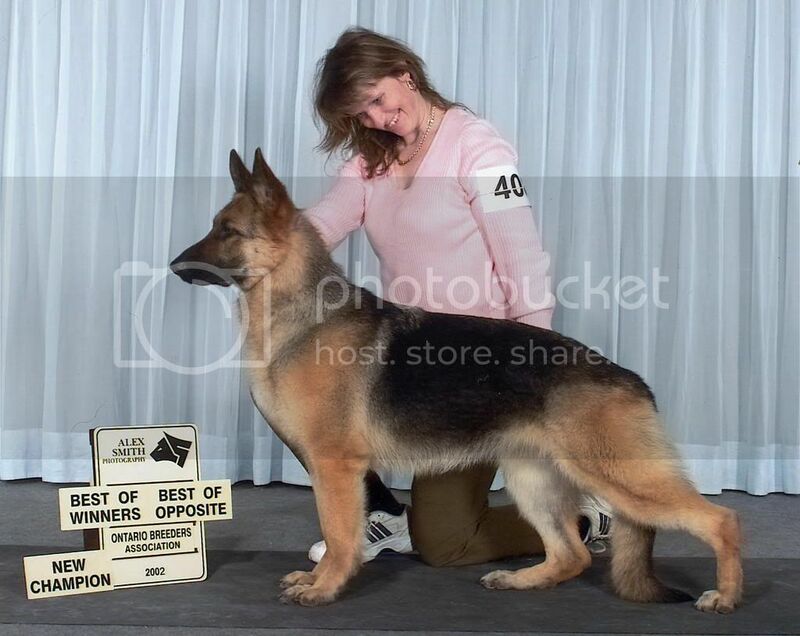 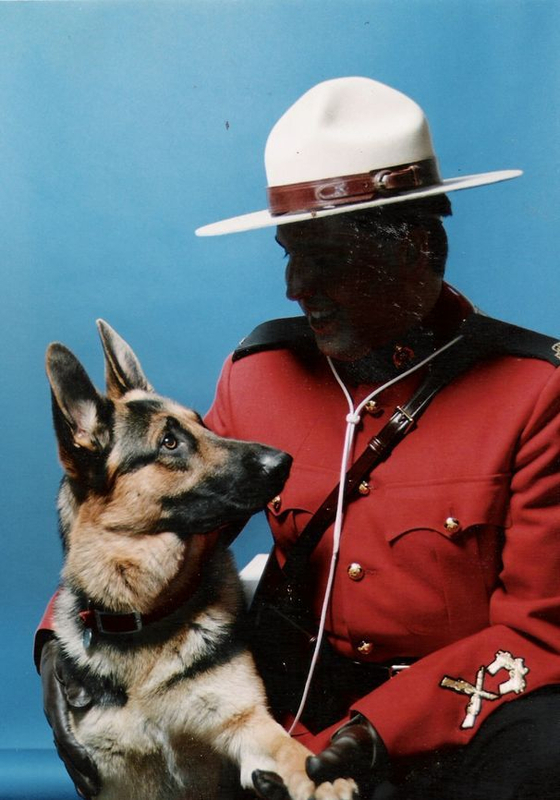 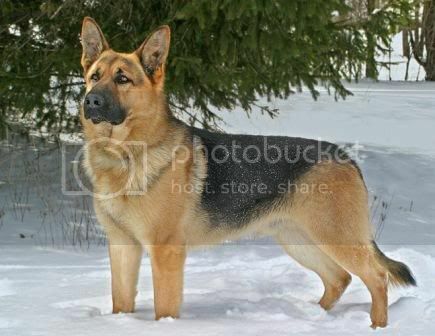 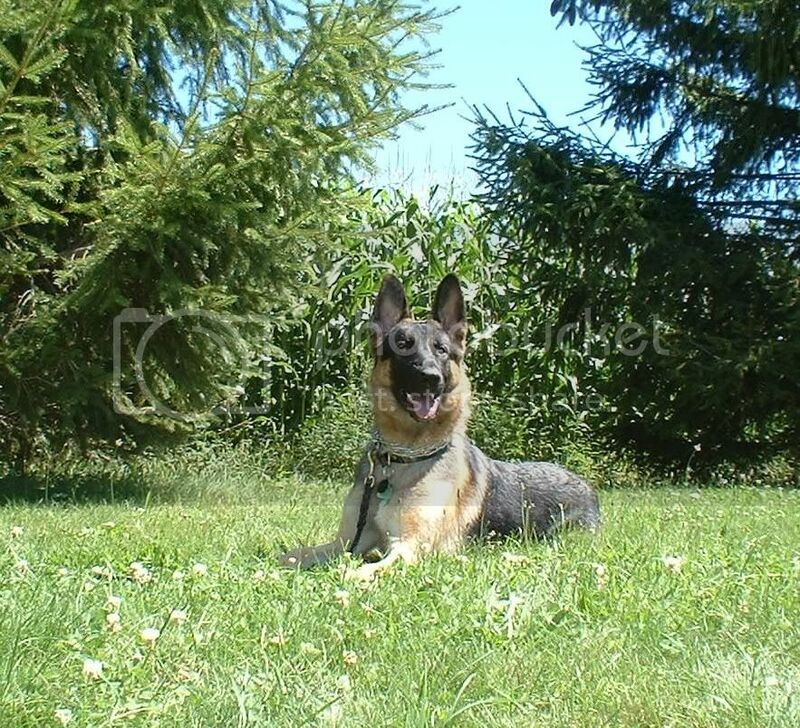 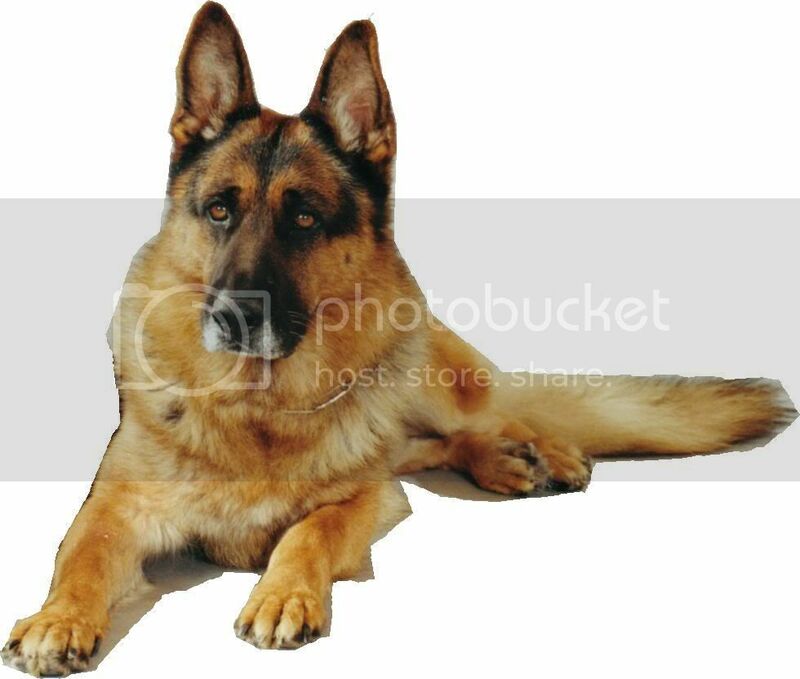 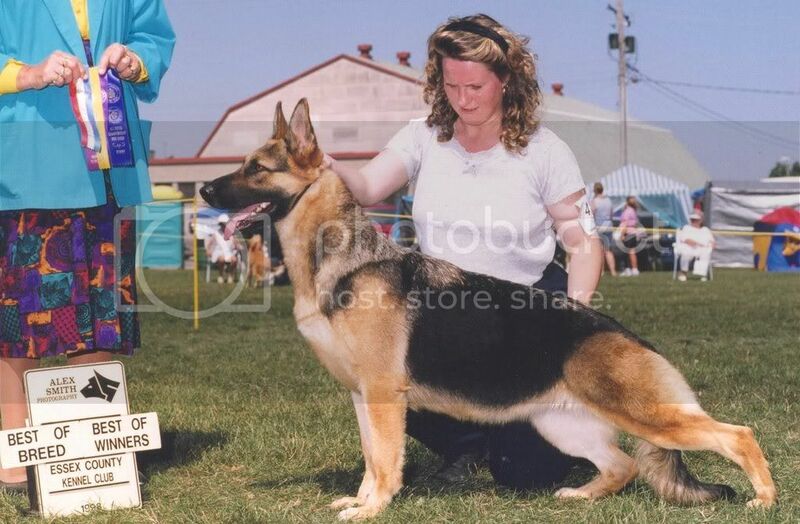 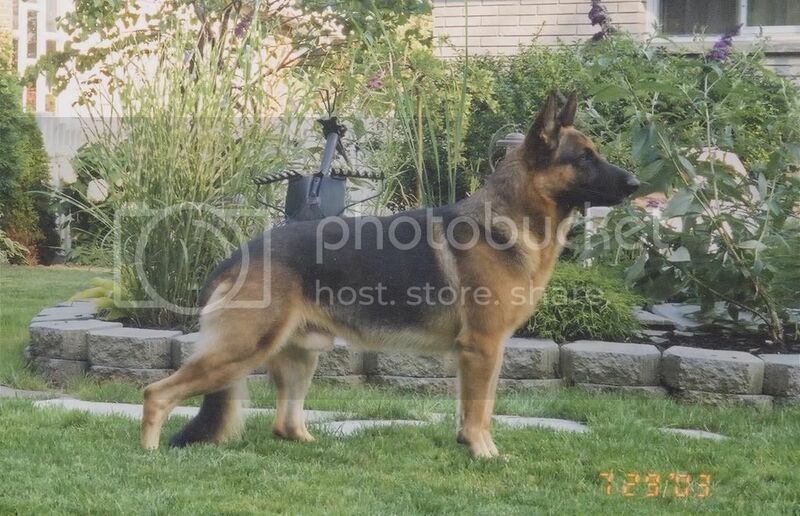 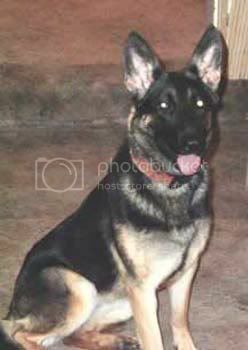 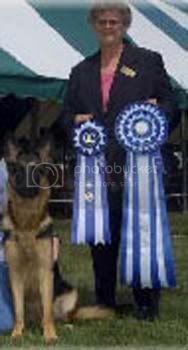 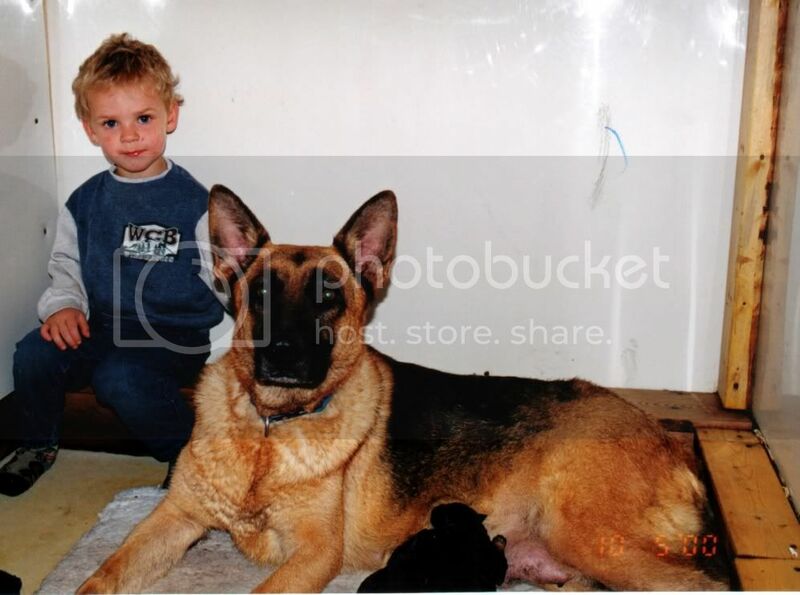 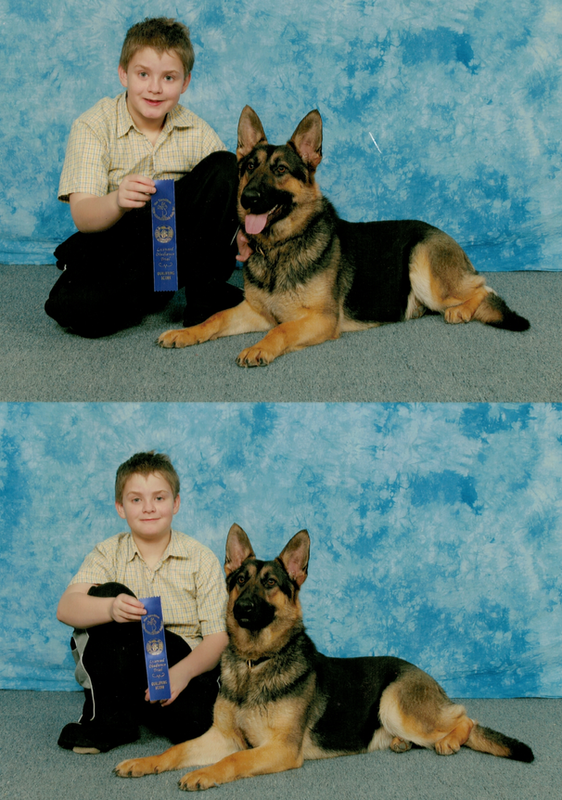 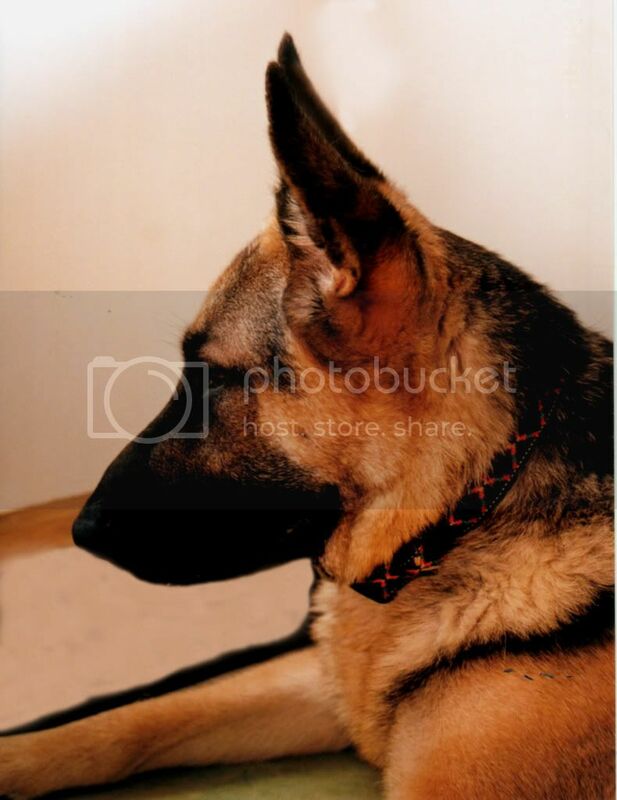 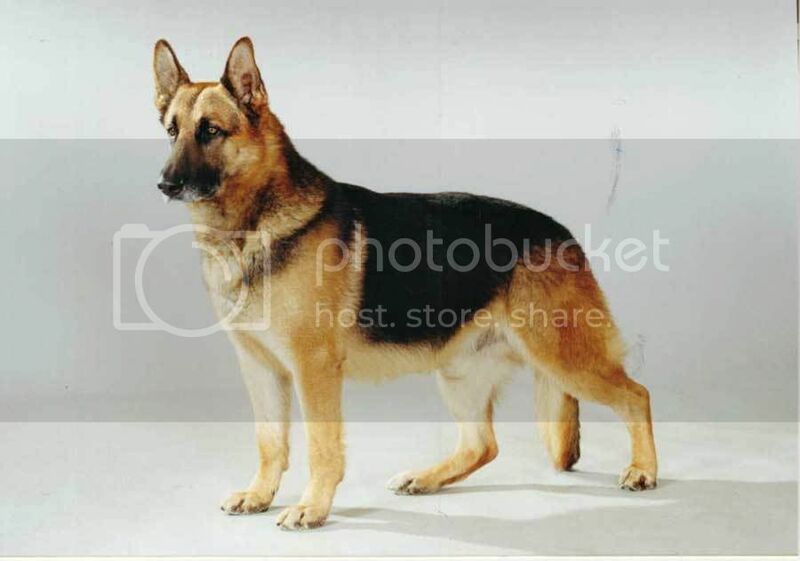 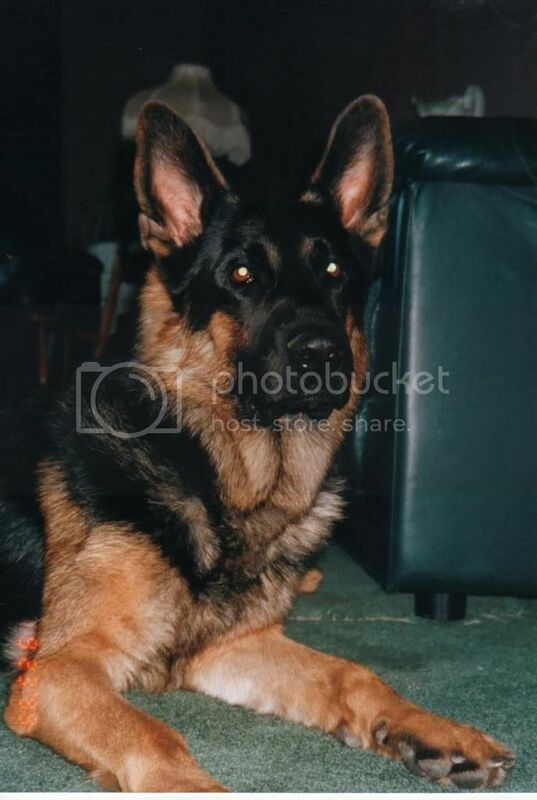 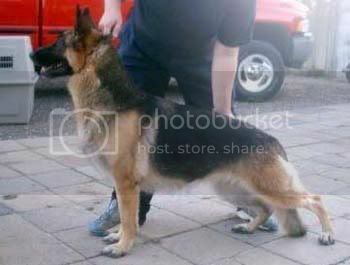 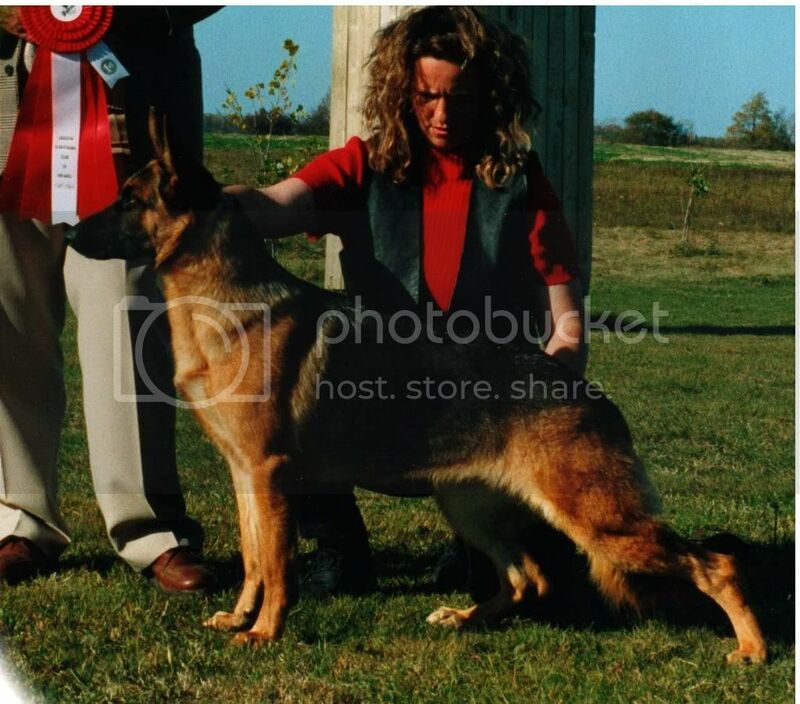 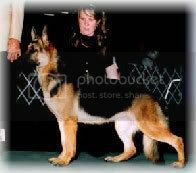 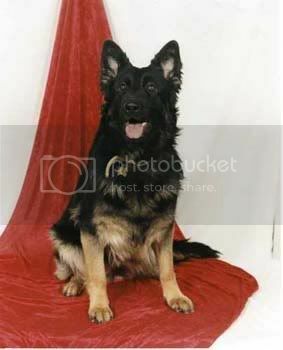 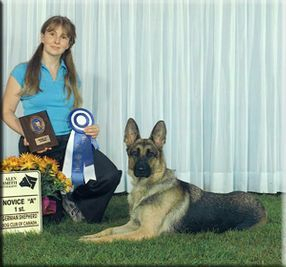 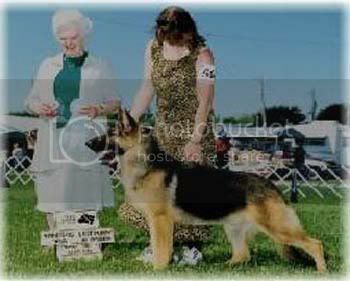 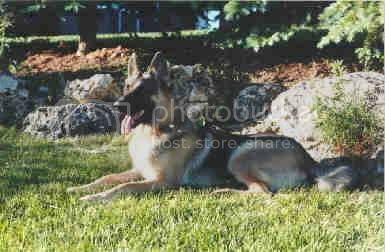 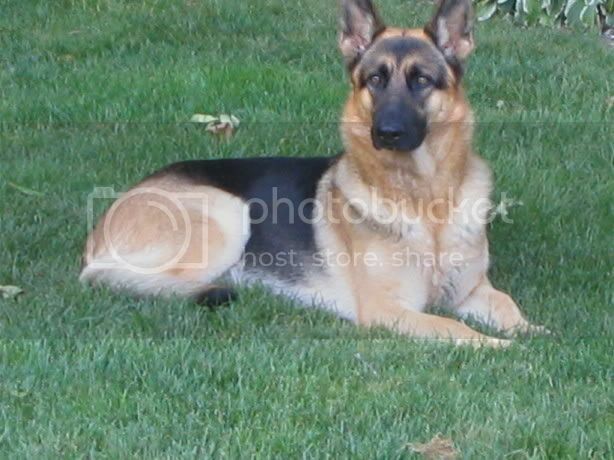 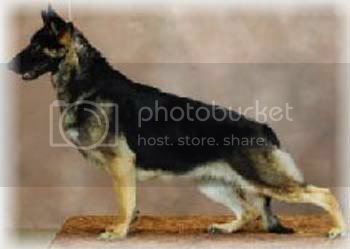 We hope you enjoy the dogs shown as a tribute to the amazing breed, everyone knows as German Shepherds. 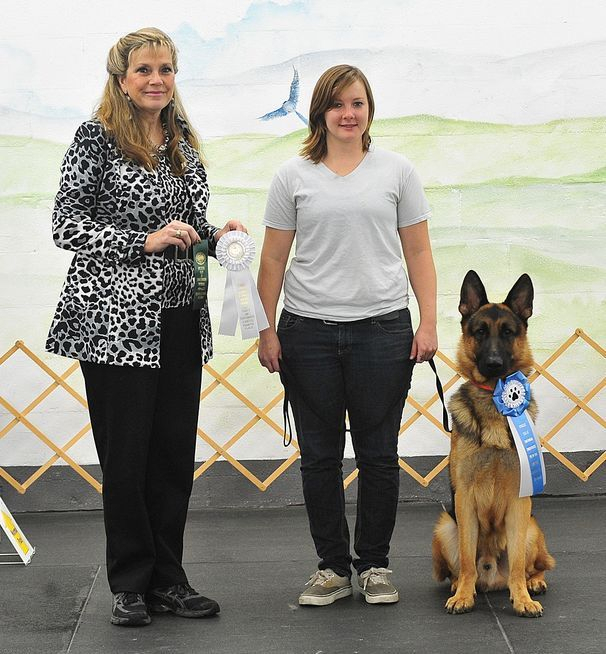 2 Rally Novice titles 1 weekend, 2 great girls! 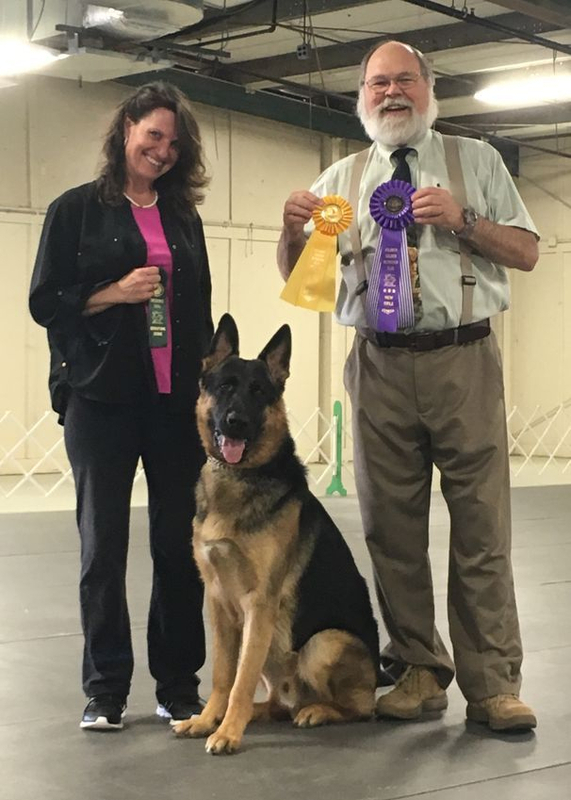 Thanks to Paul Oslach and Ted Leslie - both girls received 100/100 on 3 back to back trials to earn their RN from the "b" class. 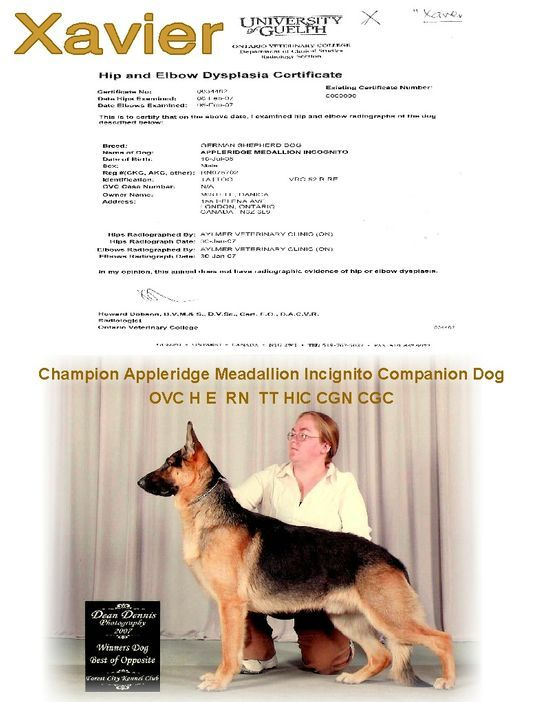 Ch Appleridge's New Sfari CD, CDX, TT, CGN, CGC, HIC added RN to her name 6 weeks before her 10th birthday, she also earned 1 leg towards her RA with a 99 (a timer issue caused us to have to redo the trial after we were already through half and my Safari girl was getting tired). 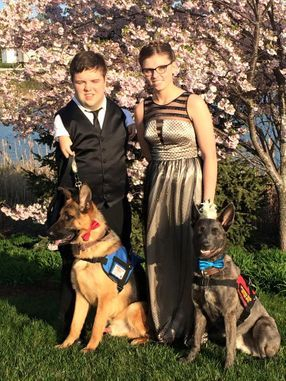 Someone say it can't be done? 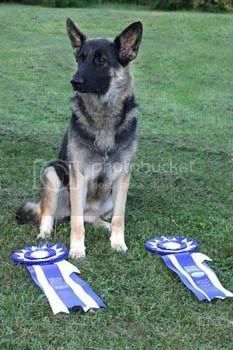 3 pups 1 trial and everyone in the Ribbons - 2 titles Completed!! 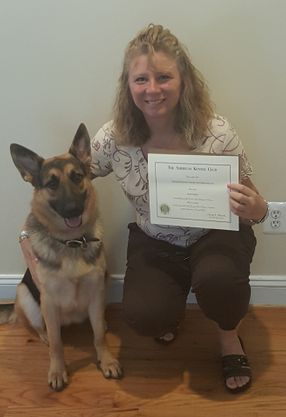 Taylor Does it! 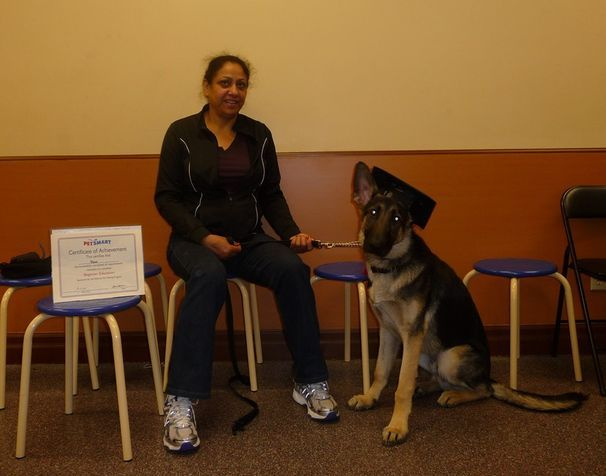 Who says Service dogs can't also teach their handlers new fun things... Zelda & Brittany get their BN obedience, Title for fun! 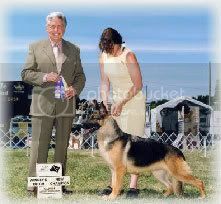 Annette, Dog whispering on a pack level ! 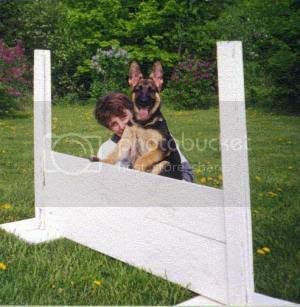 Agility Dog of Canada - Why not! 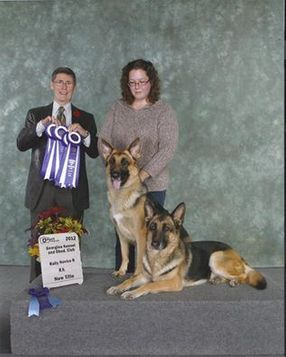 Skye & Deacon on their Way to stardom! 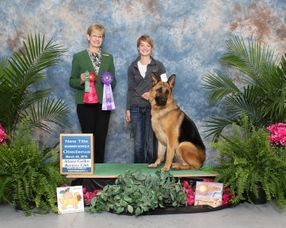 Taylor & Saba - A Show Career has begun! 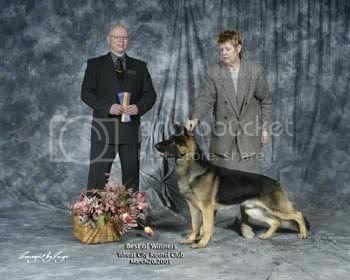 The Very Famous " Santana" & Annette keep the winning !! 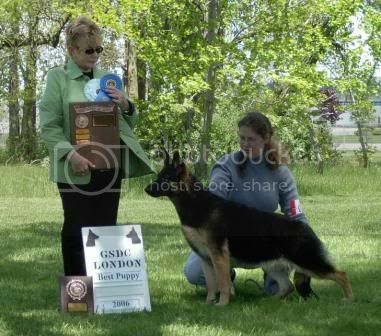 Ontario Sieger Show - Appleridge Team all Win! 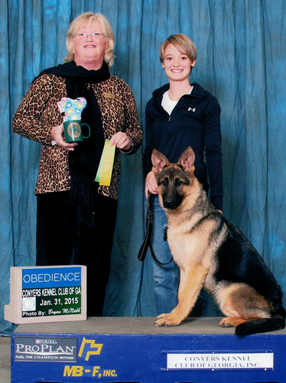 Ch Appleridges Kutting Edge Laser CD TT CGN CGC HIC OVC H E Urban Dog Certified " Lincoln"
16 week old Hannah shocked the crowd be easily passing her Evaluation on Saturday for Canine Good Citizen. 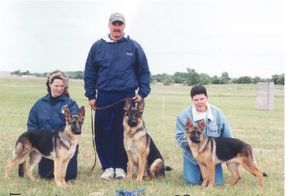 Mom & Dad proud present their well mannered baby girl with their trainer Taylor. 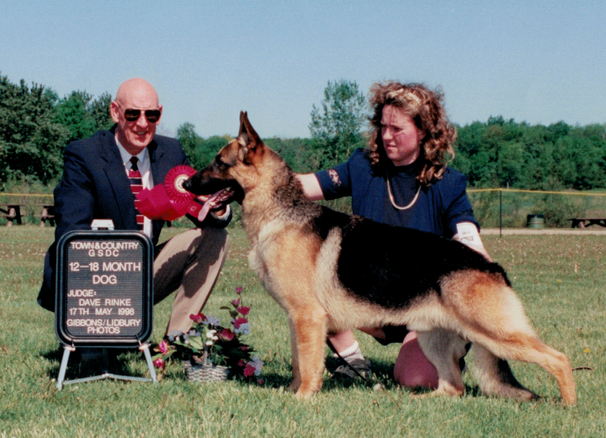 37 years of proving our dogs for you. 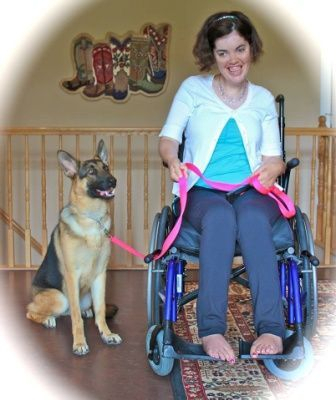 A confidence for future family adopters to know that we care and are in this for LIFE! 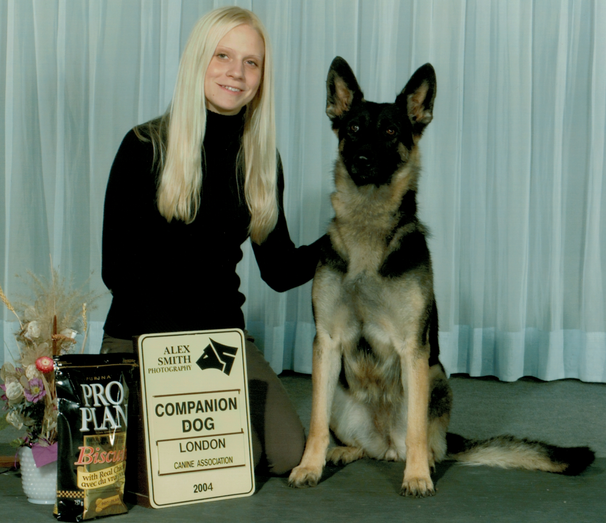 Titles mean everything to you, trust me, you need to know that the dogs that make your new companion came from the very best representatives of the breed & absolute love and care make each new dog. 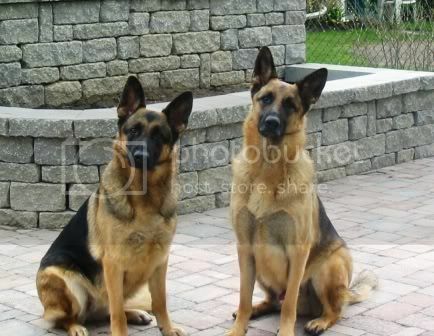 NOT BROKERS, We make family members. 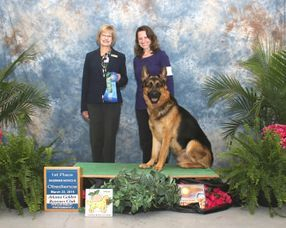 Champion Appleridges Every Wish Novice Obedience titled CGN " Rayden "
"Bear"~ Can Ch Appleridge's Polar Bear Express OVC? 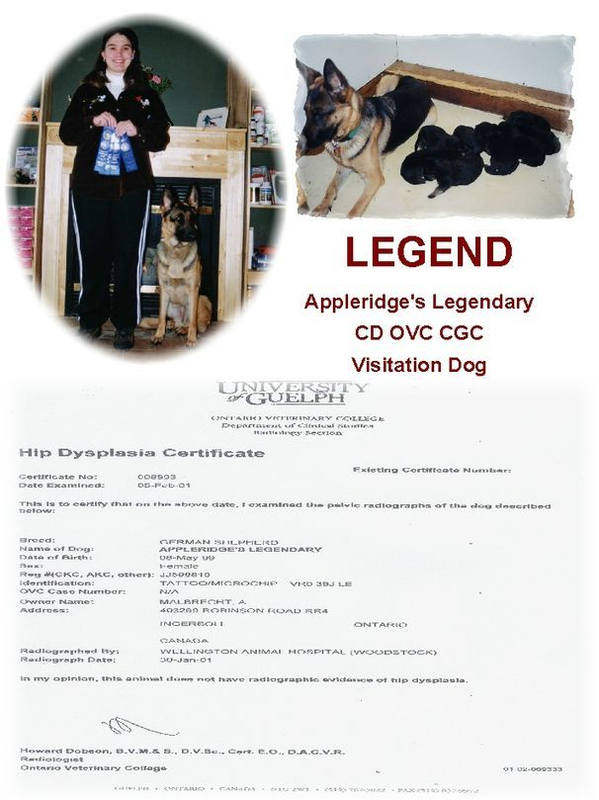 "Jazz"~Appleridge's Under The Sea Jazz CD OVC? 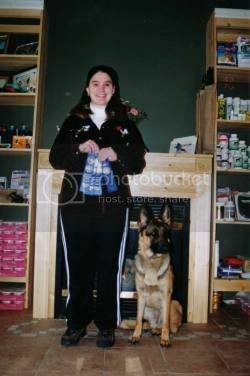 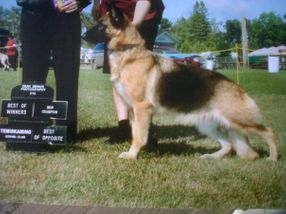 ~"Kodak"Appleridge's Up Town Girl CD CGC CGN HIC OVC H/E? 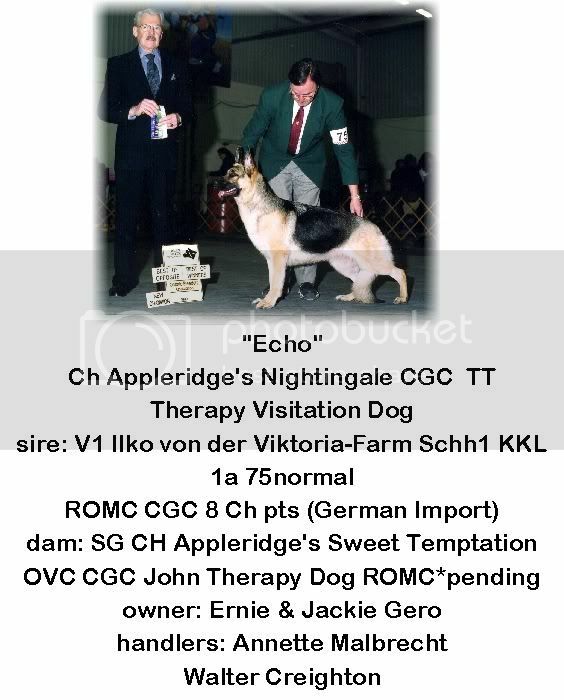 ~"Spirit"Appleridge's Kindred Spirit CGN HIC OVC H/E (working on CD)? 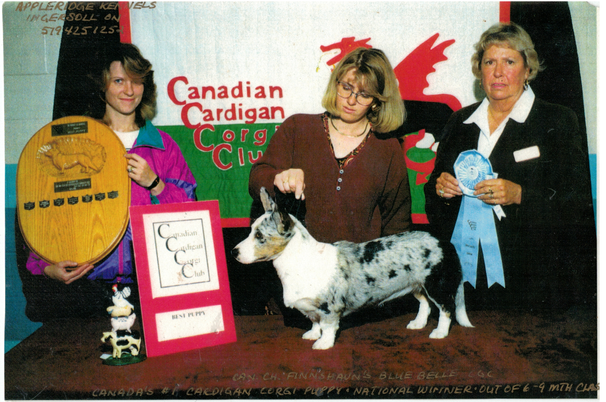 ~"Lady Bugs" CH Appleridge's Rythmn N Blues OVC CGC? ~ "Sabina"Champion Appleridge's Pleasent Dreams OVC? 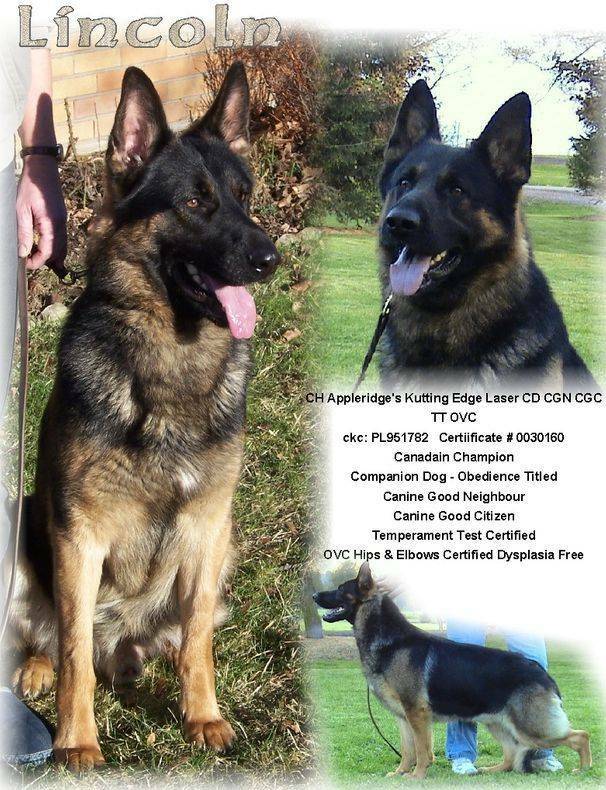 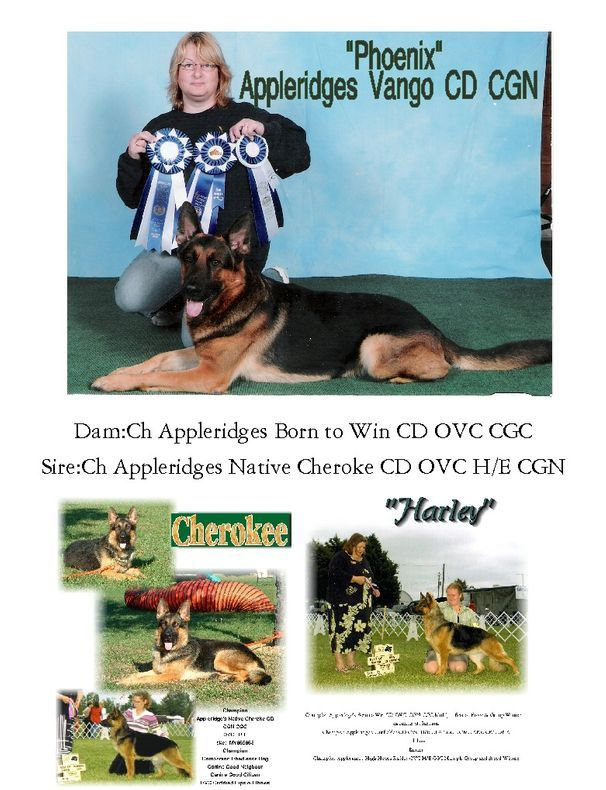 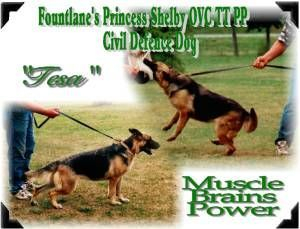 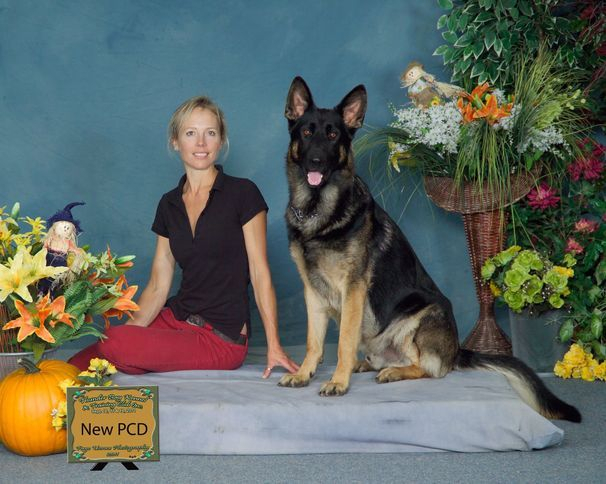 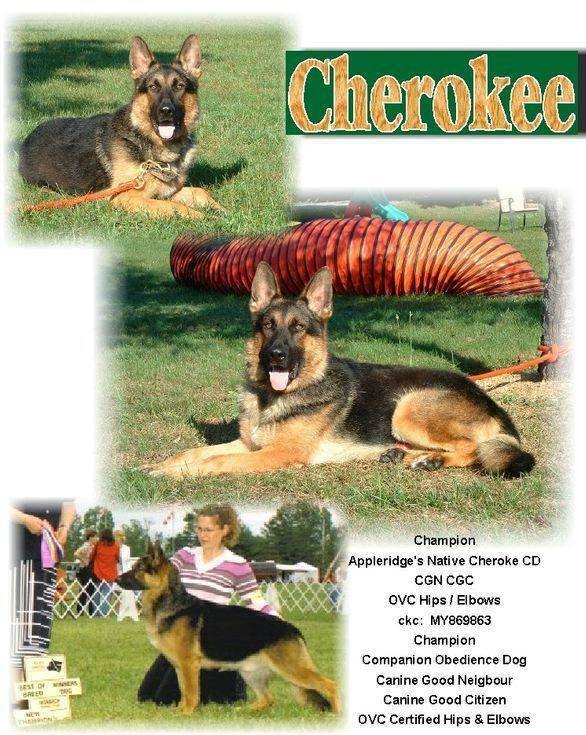 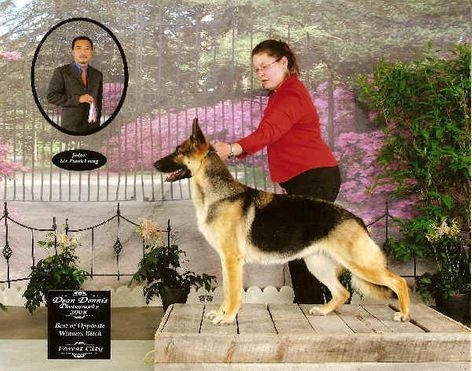 ~ "Sheena"CH Appleridge's Blaze'n Babe CD OVC? 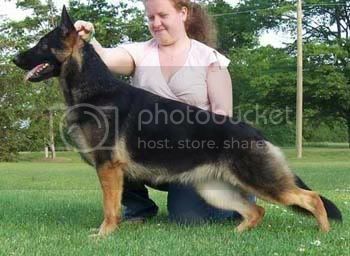 and more?. 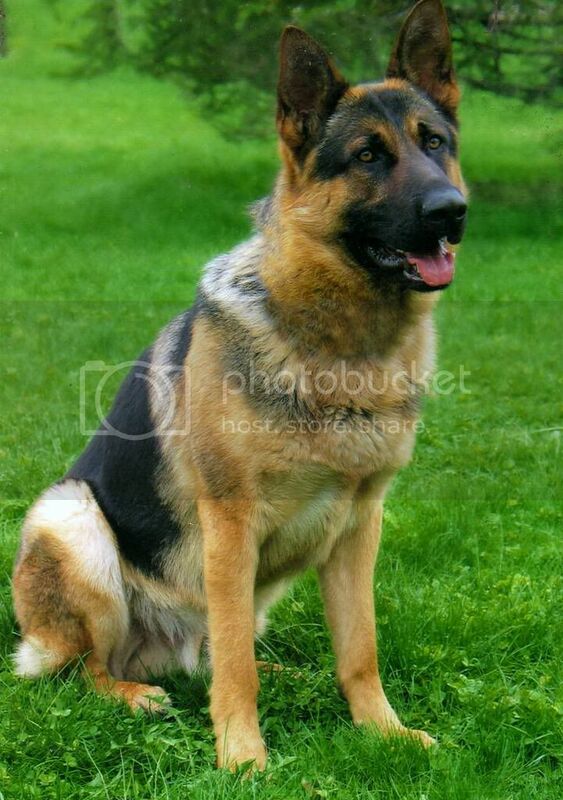 If we forgot you, please let us know. 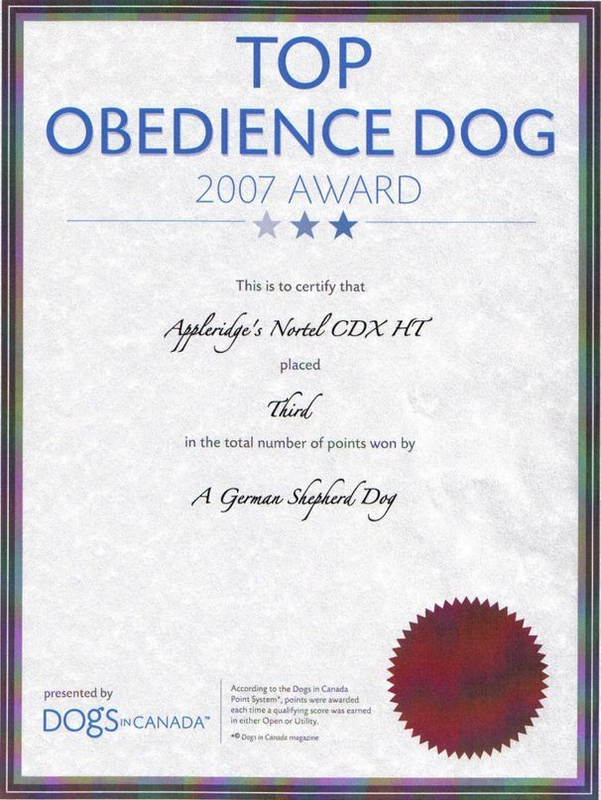 What do all these letters mean?????????????????????? 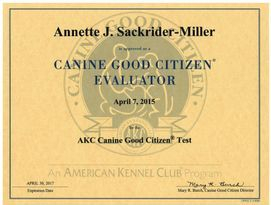 here's the answers, we're proud of! 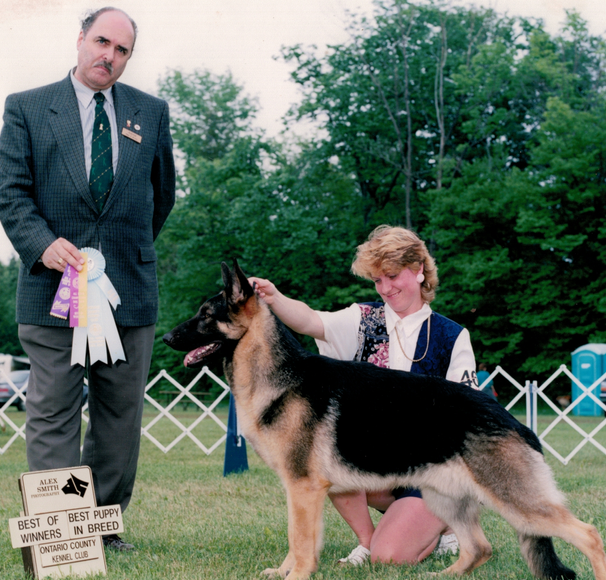 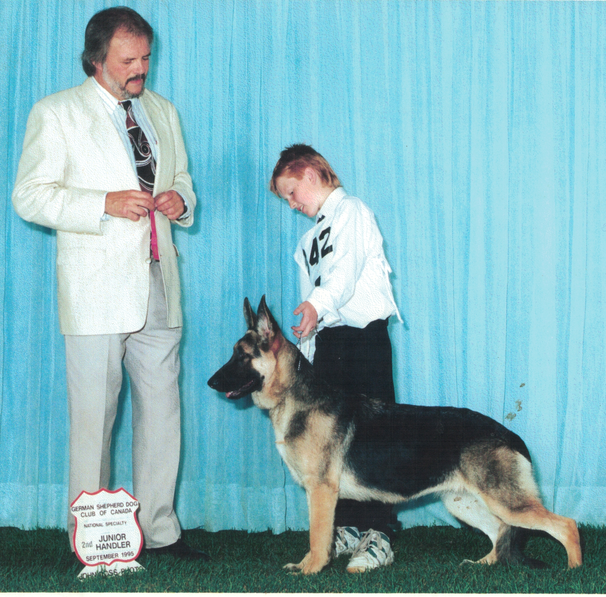 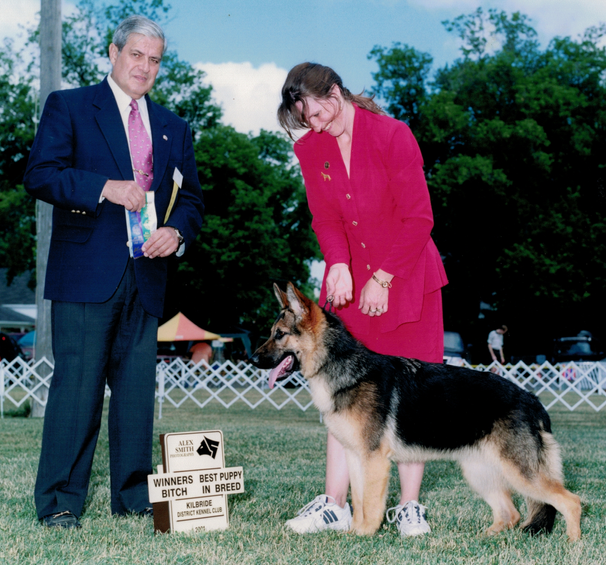 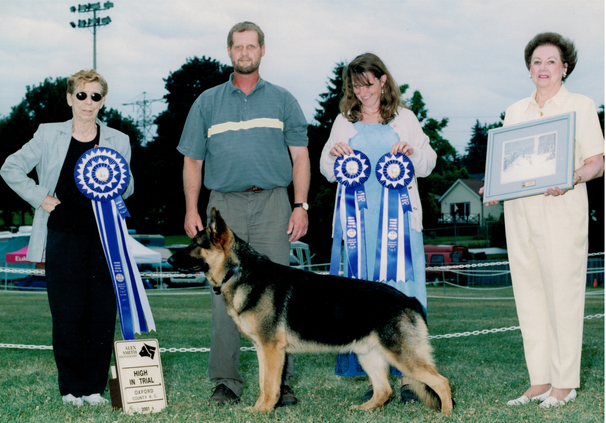 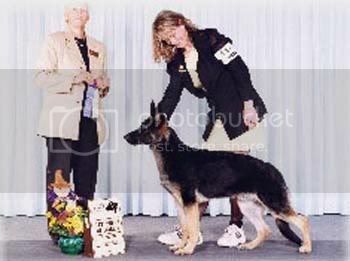 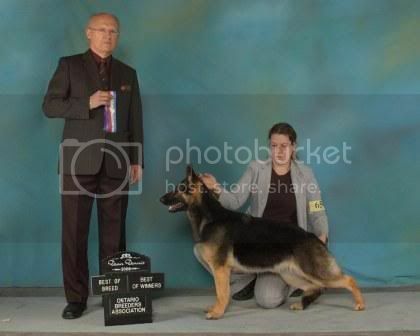 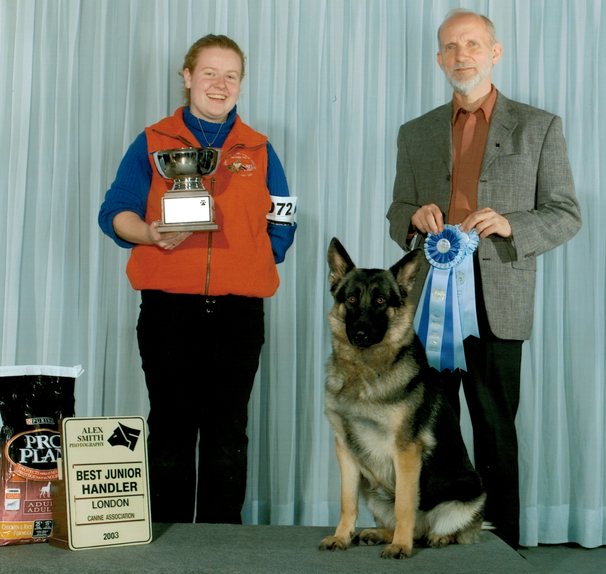 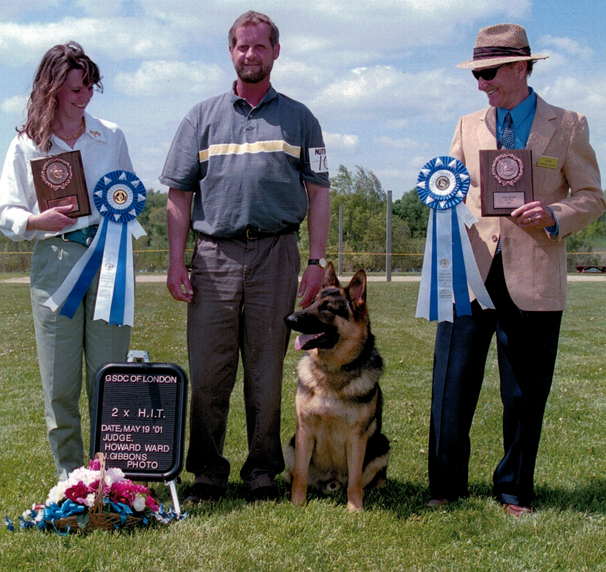 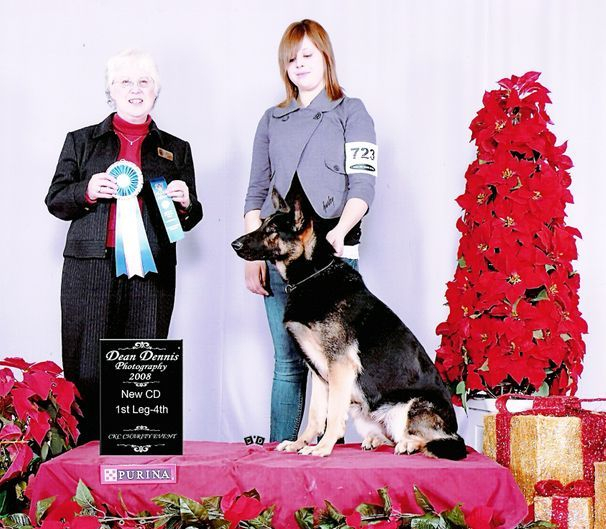 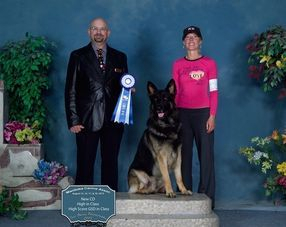 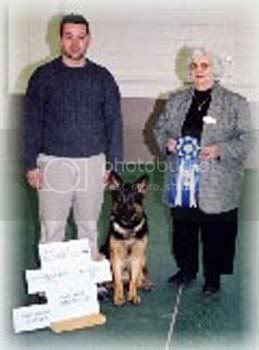 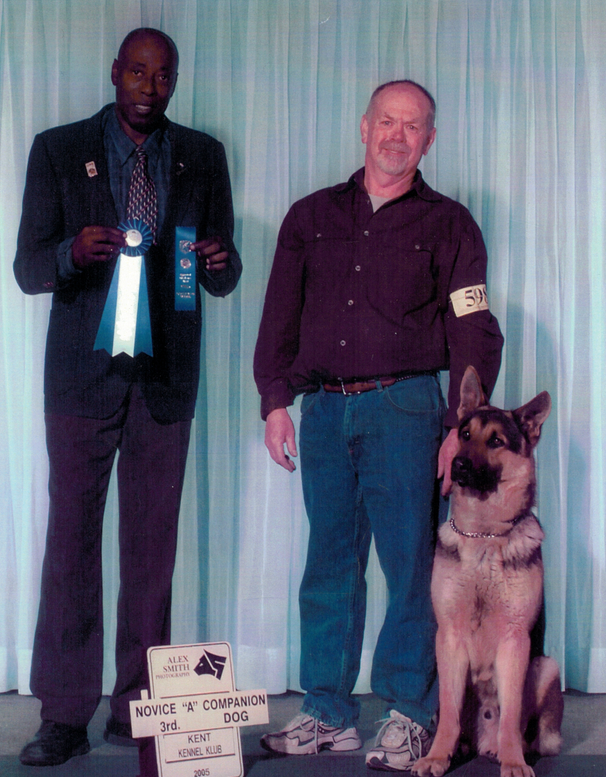 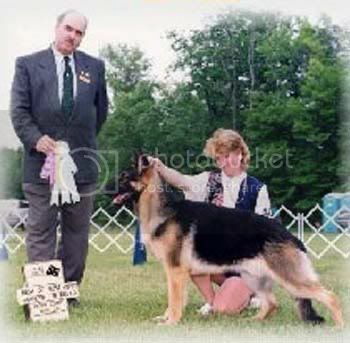 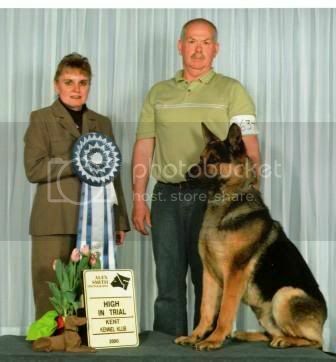 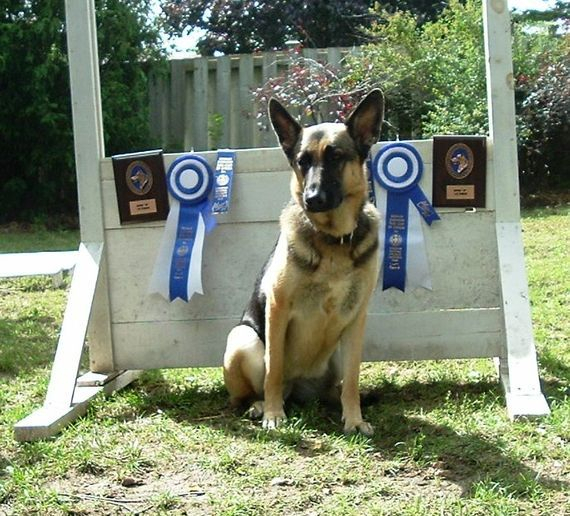 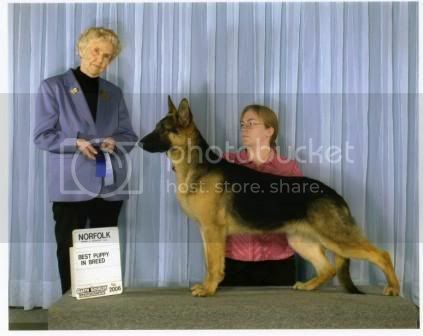 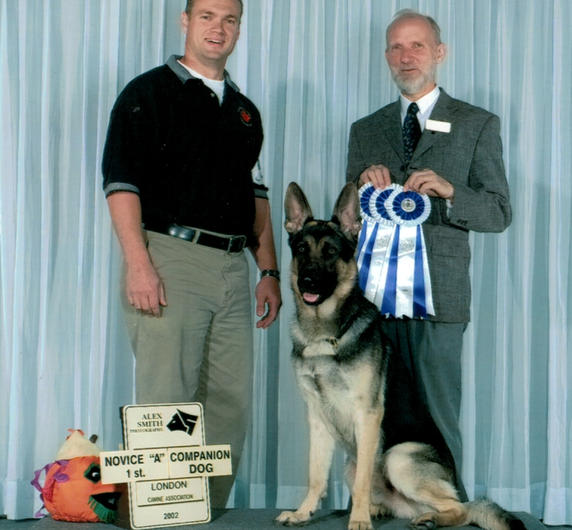 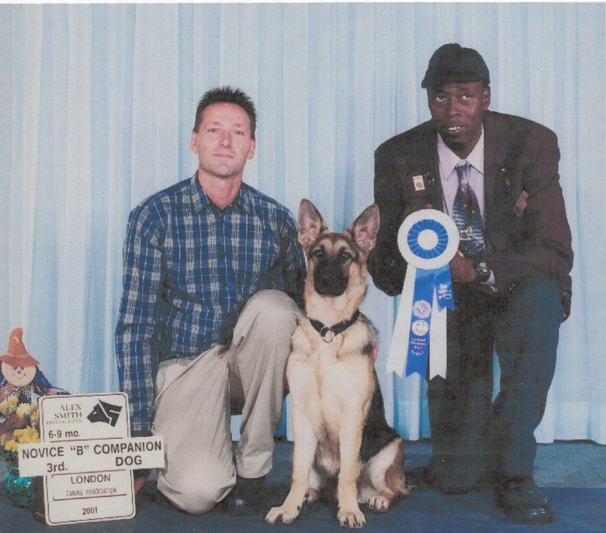 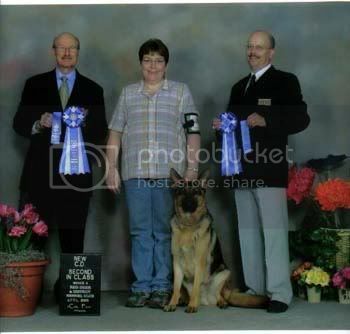 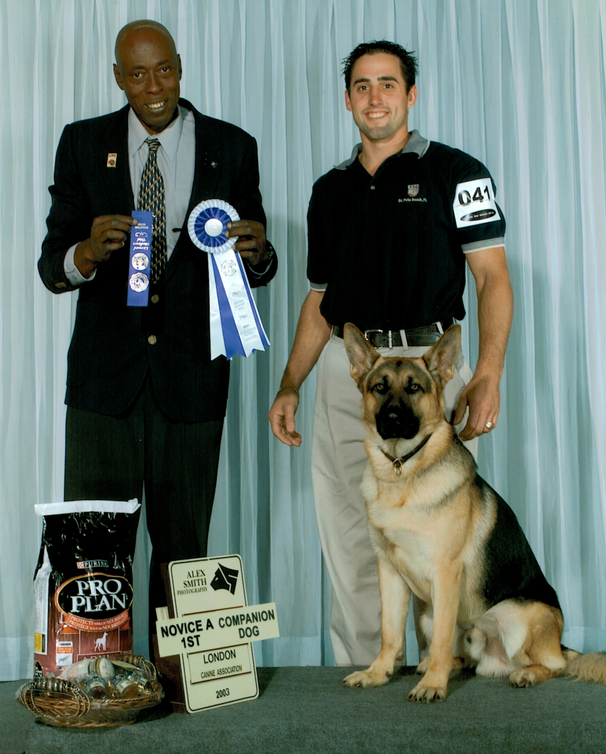 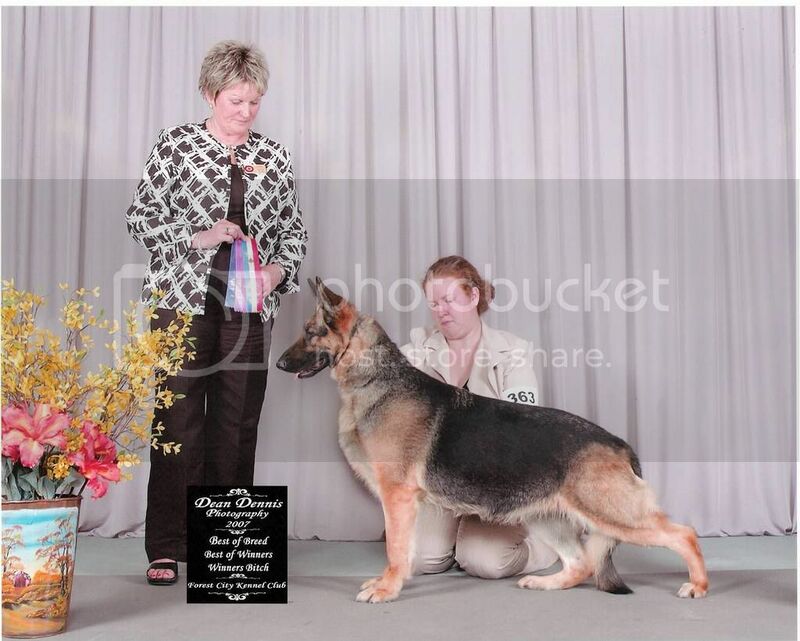 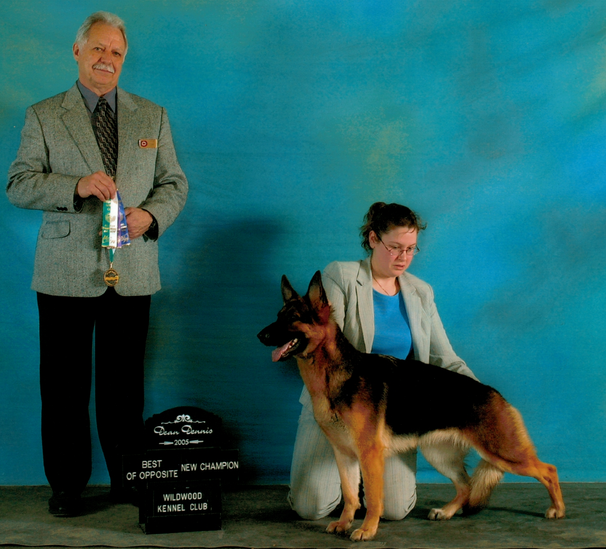 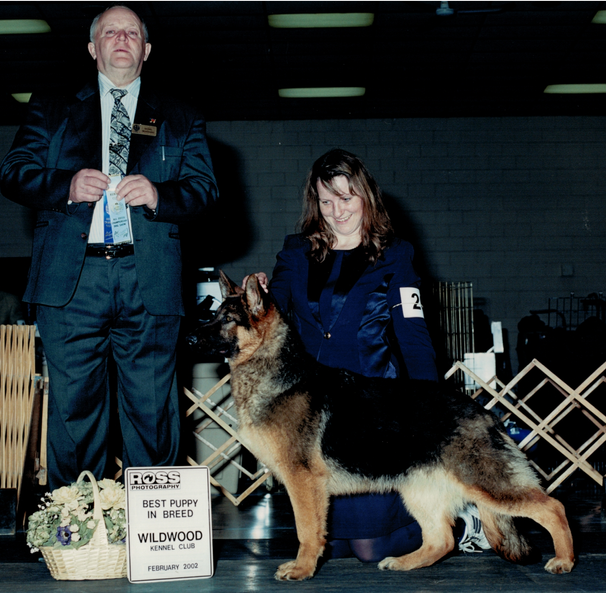 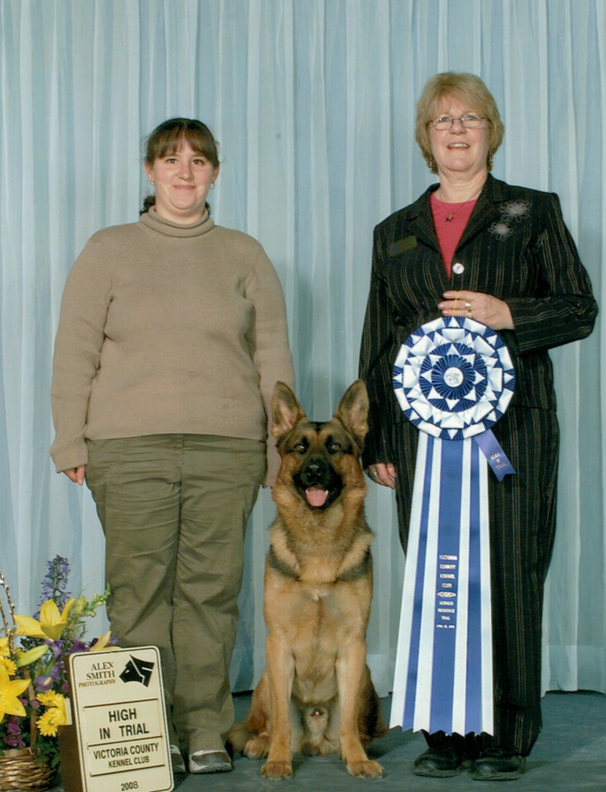 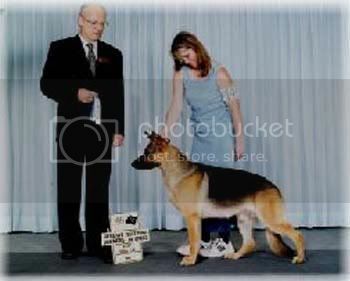 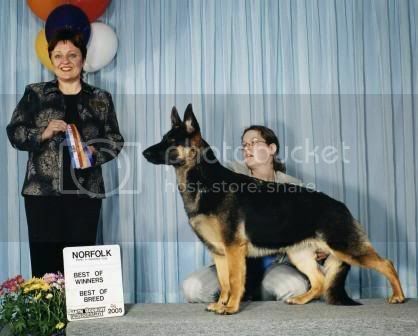 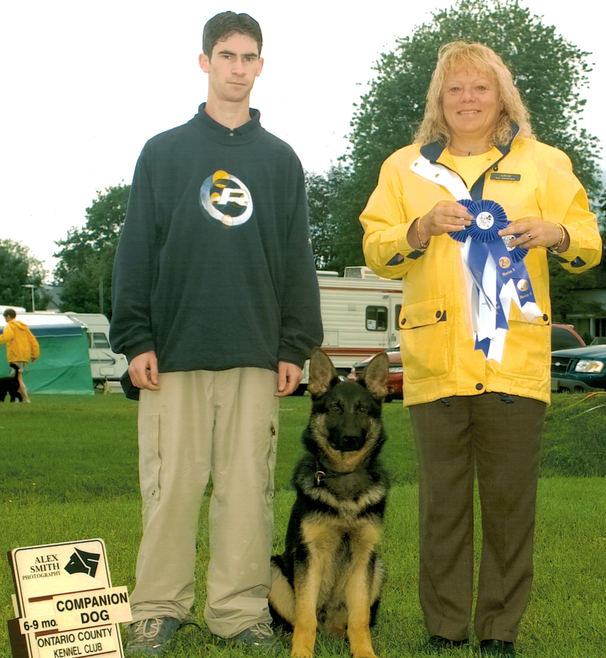 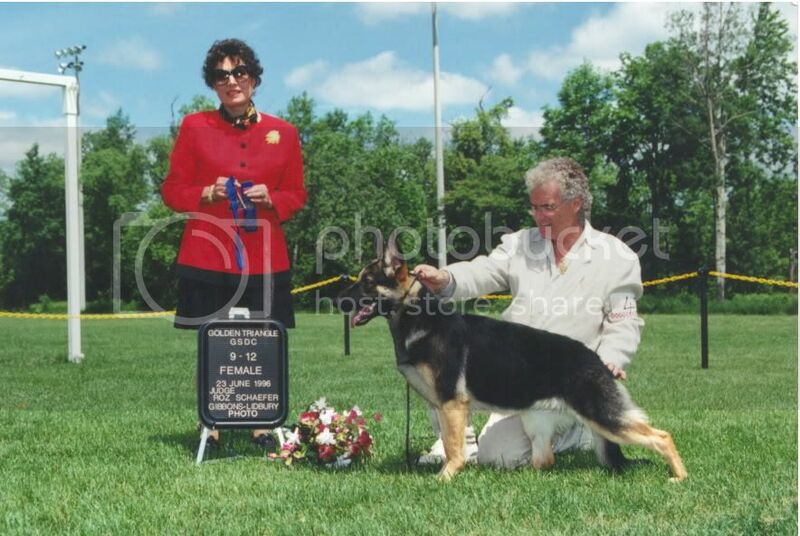 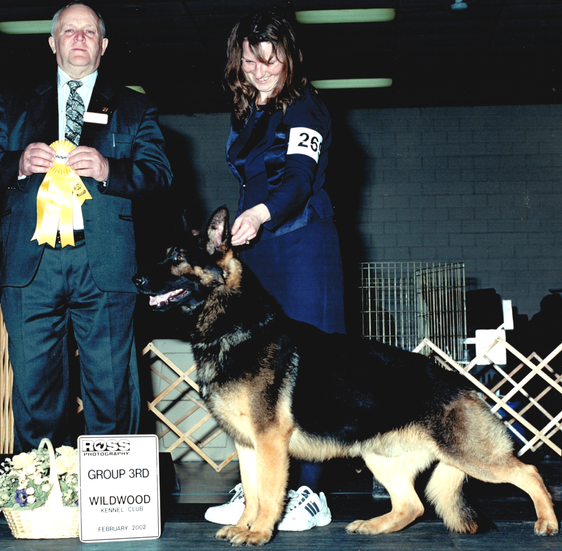 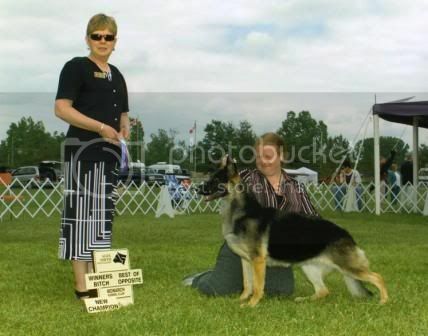 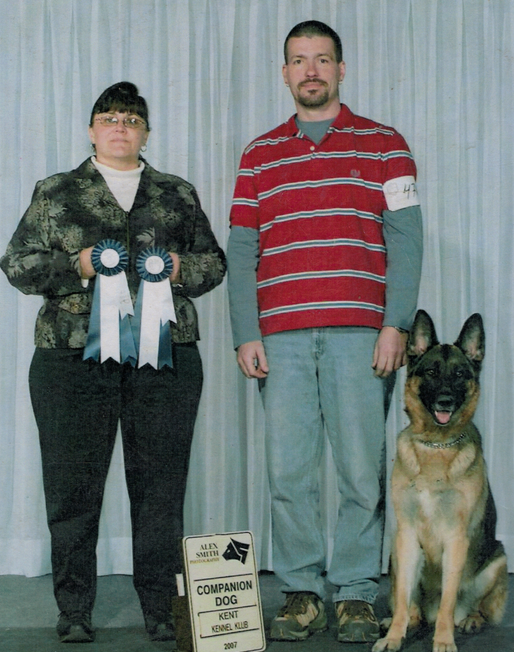 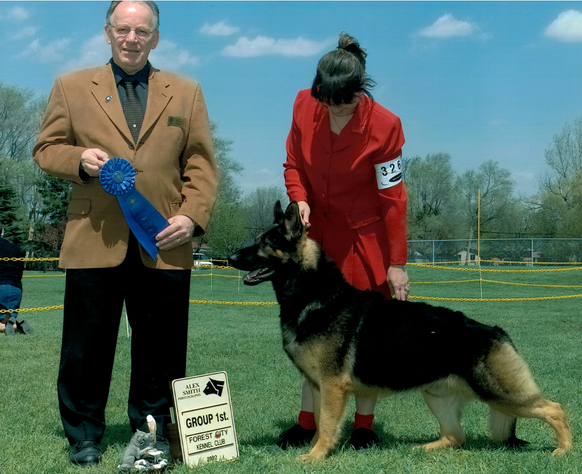 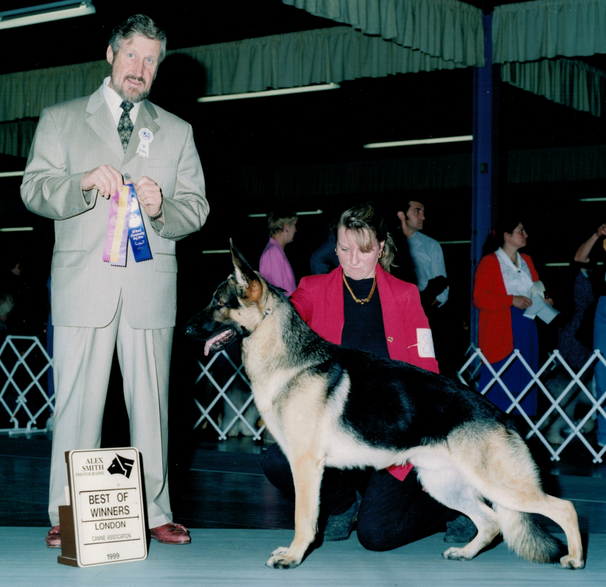 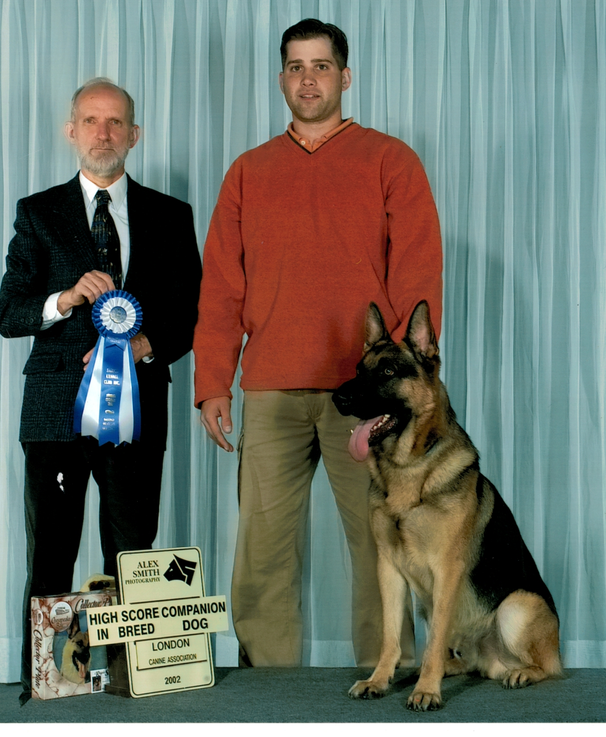 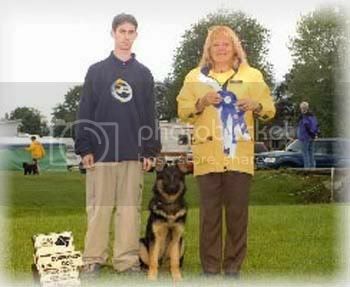 HIT: High in Trial- Obedience title for winning Highest Scoring Dog for the Show. 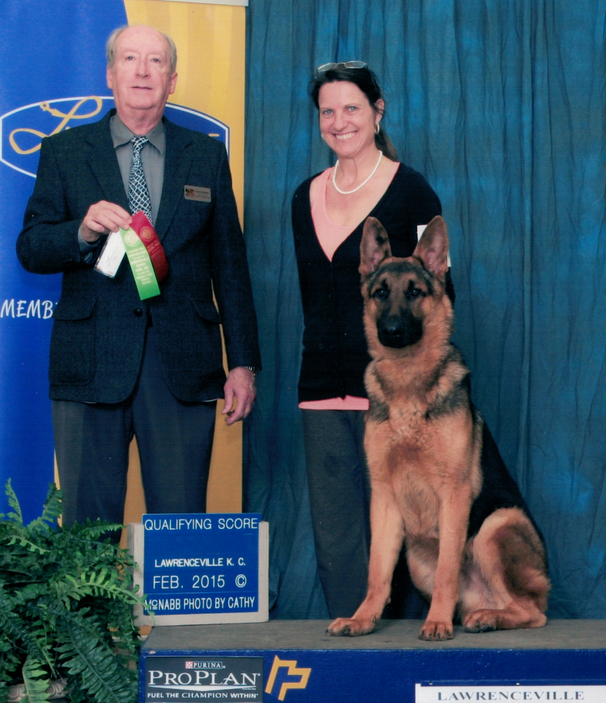 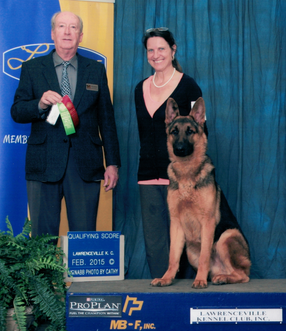 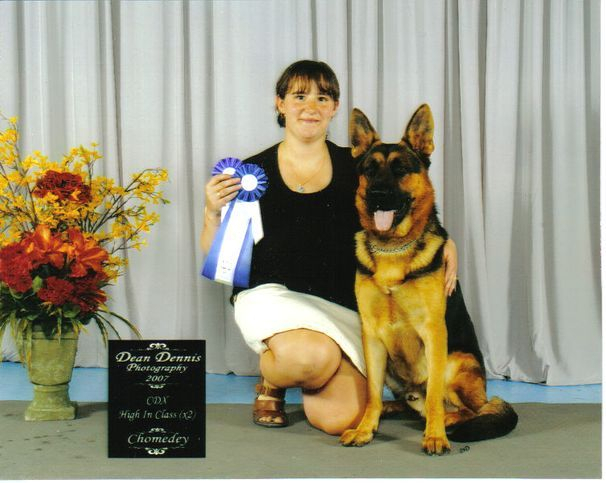 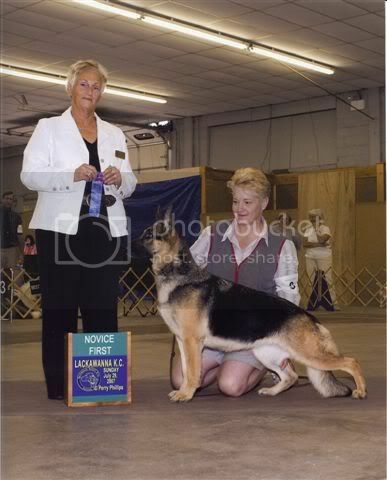 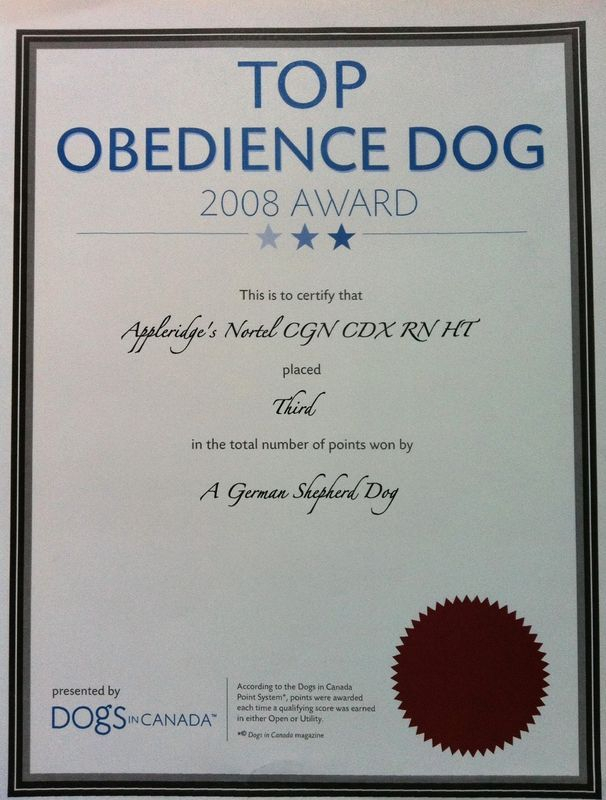 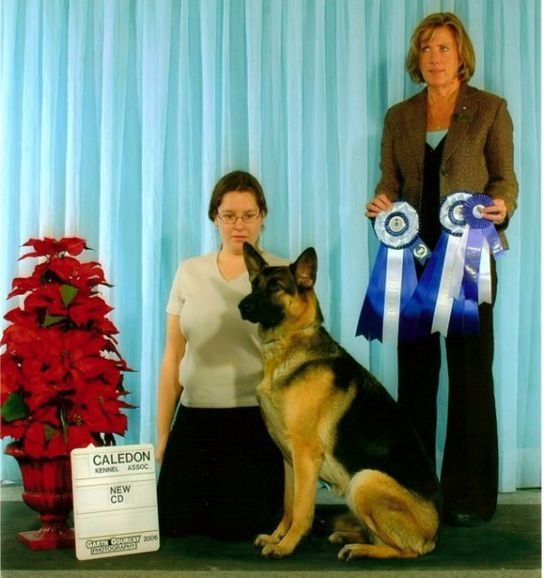 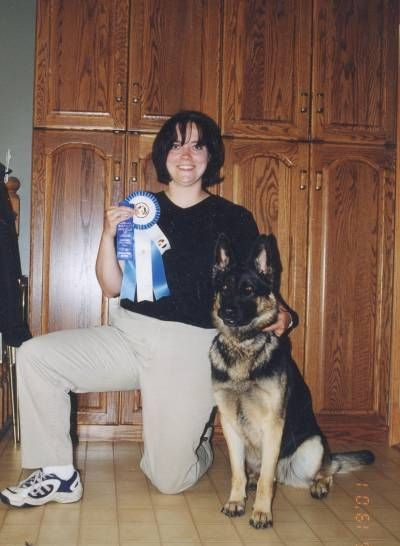 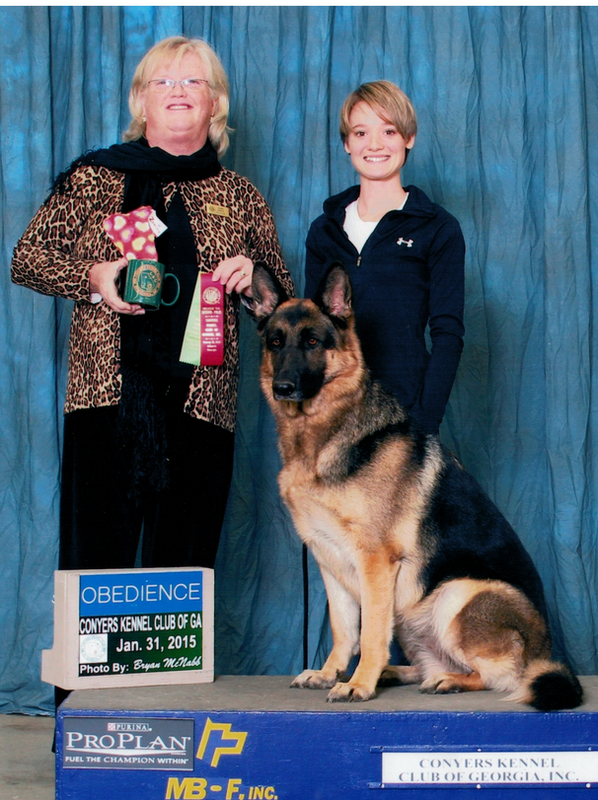 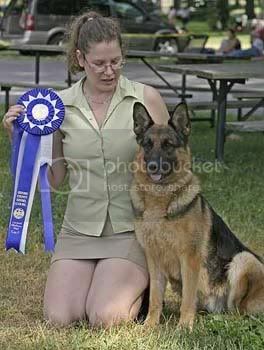 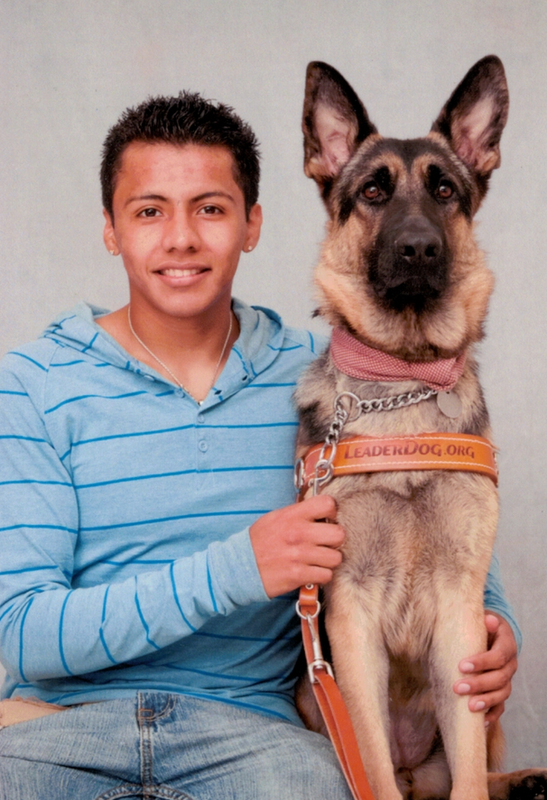 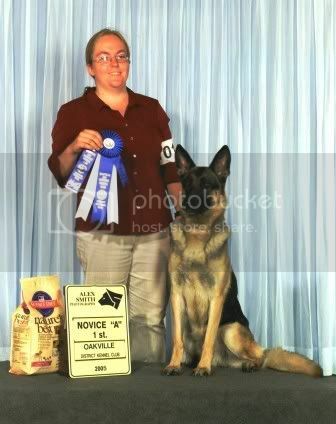 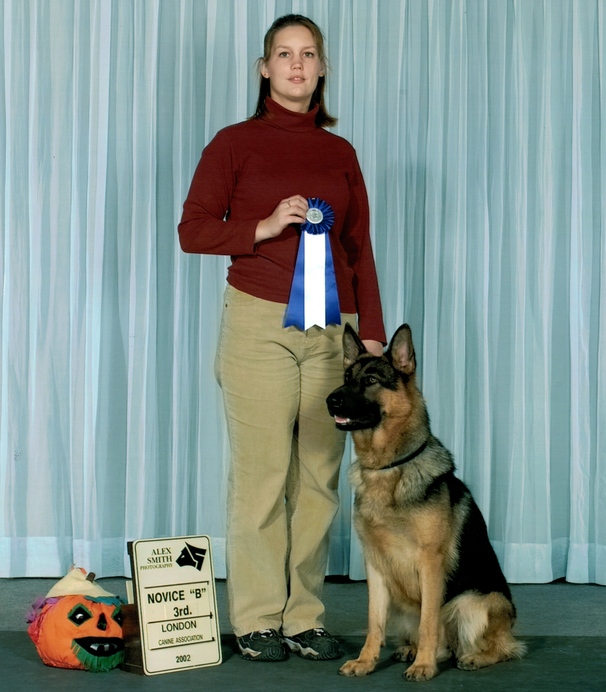 High in Class: Obedience title for winning Highest Scoring Dog for your class. 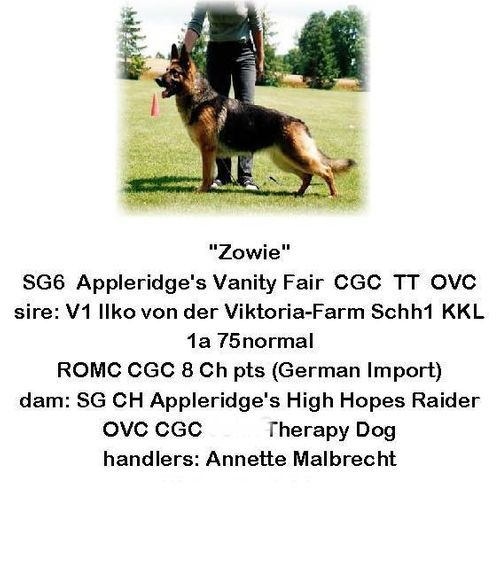 ZVV1/SVV1 - The preliminary Czech title, extensive tracking, on and off leash obedience and protection. 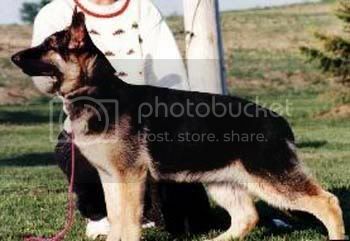 Similar to Schutzhund 1 (SchH1) but very different. 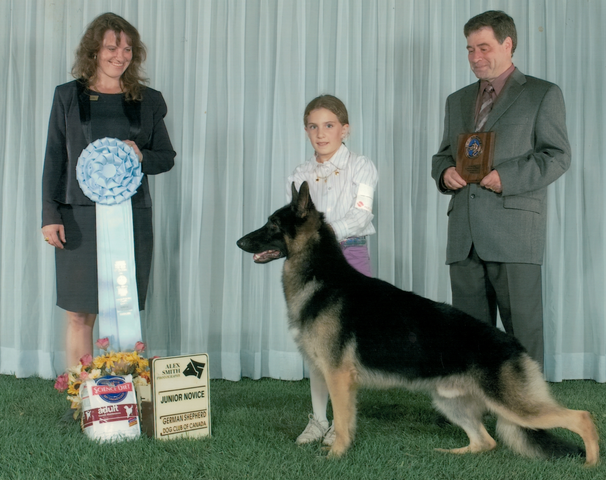 ZVV2/SVV2 - Much more challenging second Czech title includes more extensive tracking, more intense obedience and difficult protection. 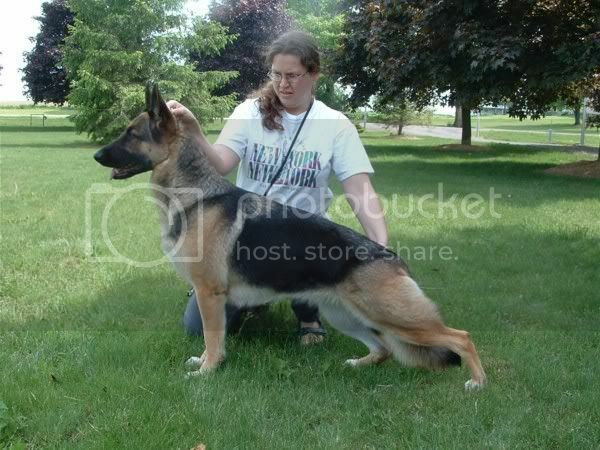 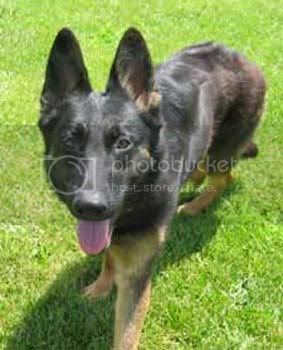 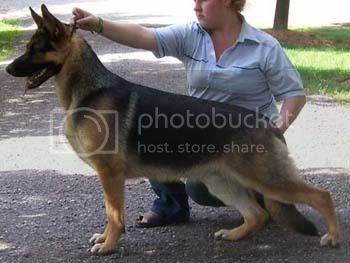 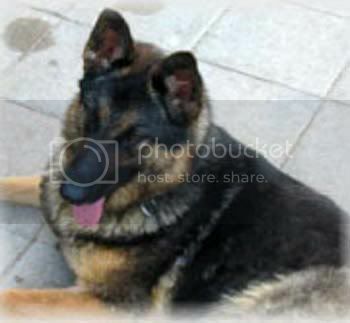 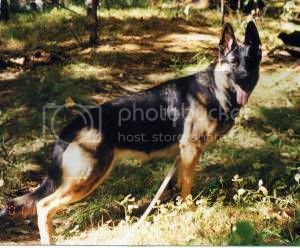 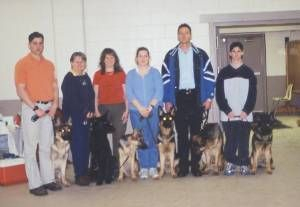 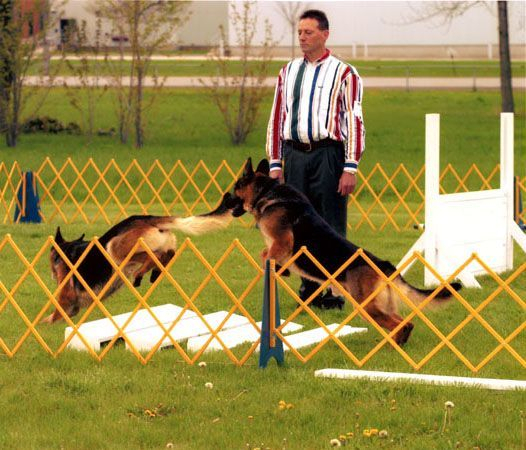 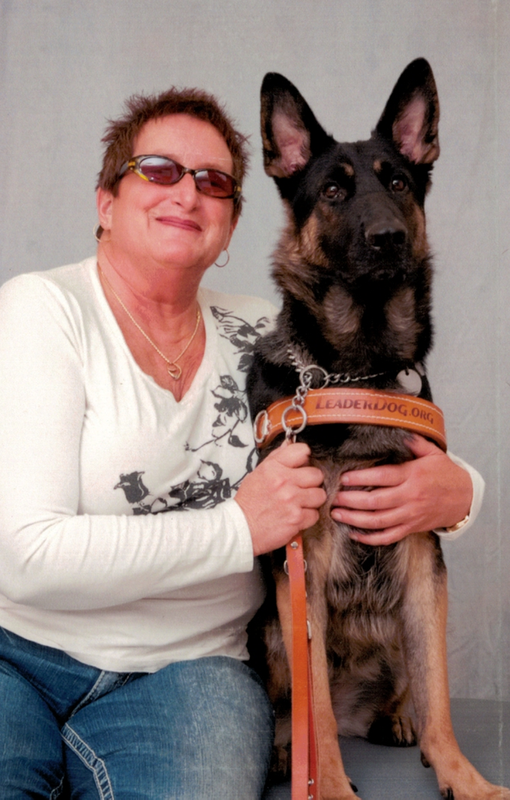 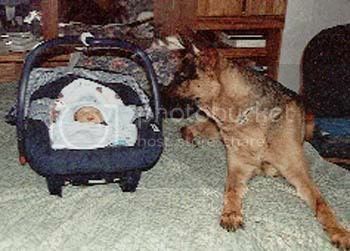 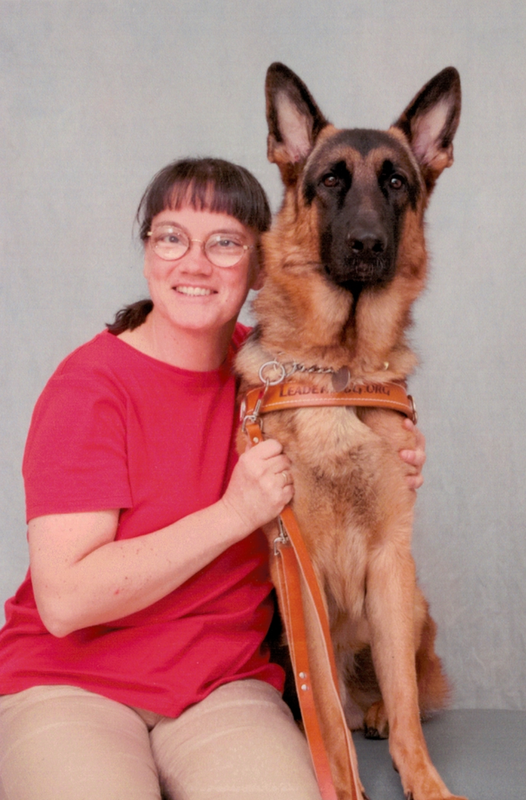 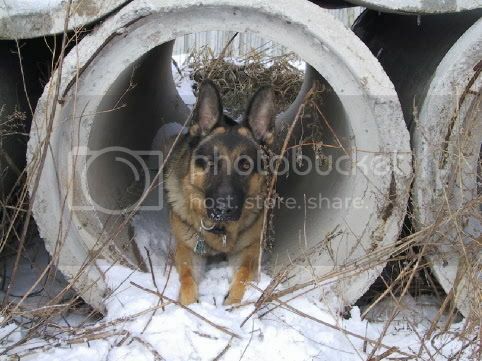 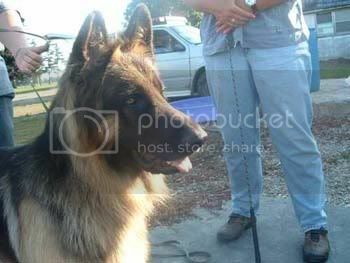 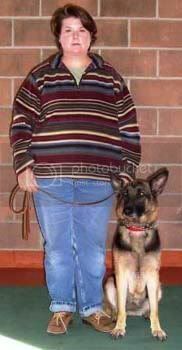 Similar to Schutzhund 2 (SchH2) however very difficult and geared towards real everyday situations. 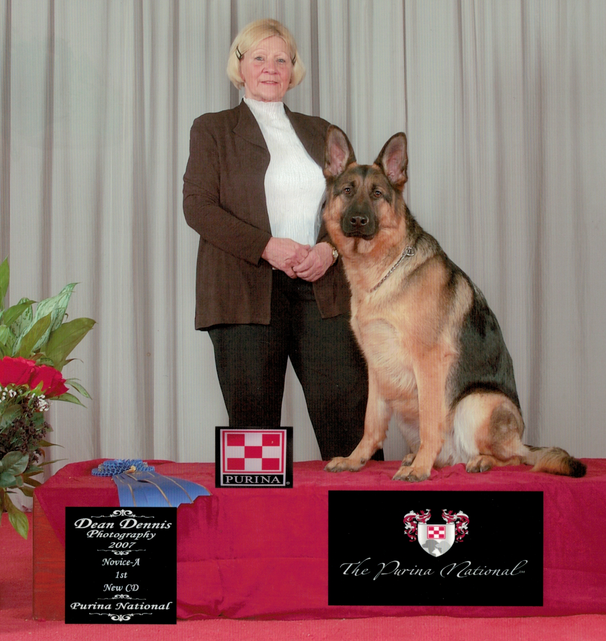 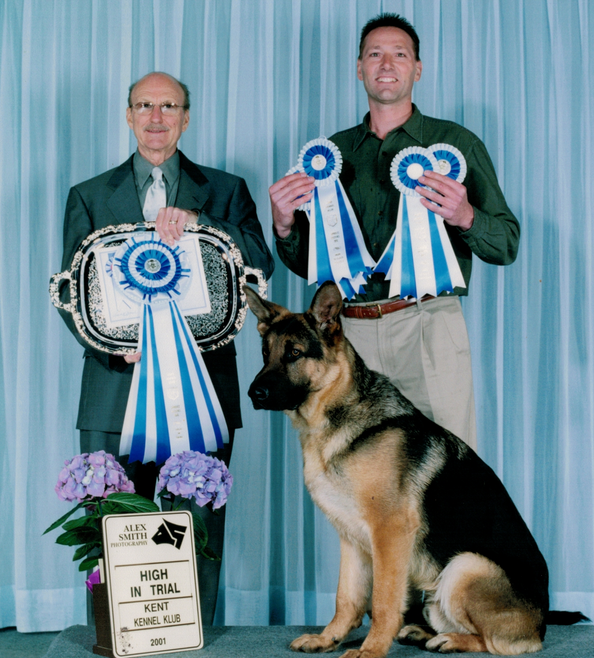 ZVV3/SVV3 - The master level of Czech Title System on 5-9 dogs receive this prestigious title per year. 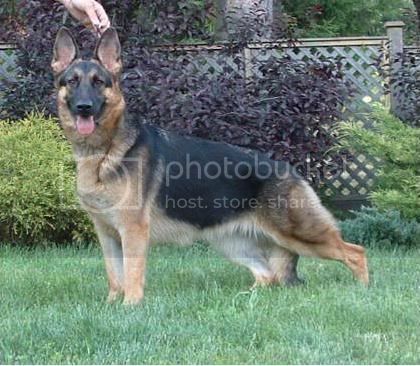 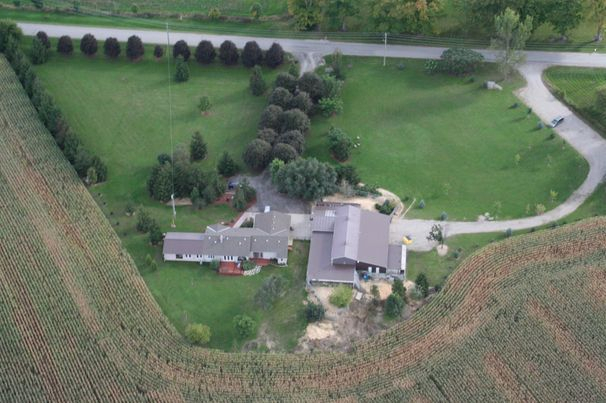 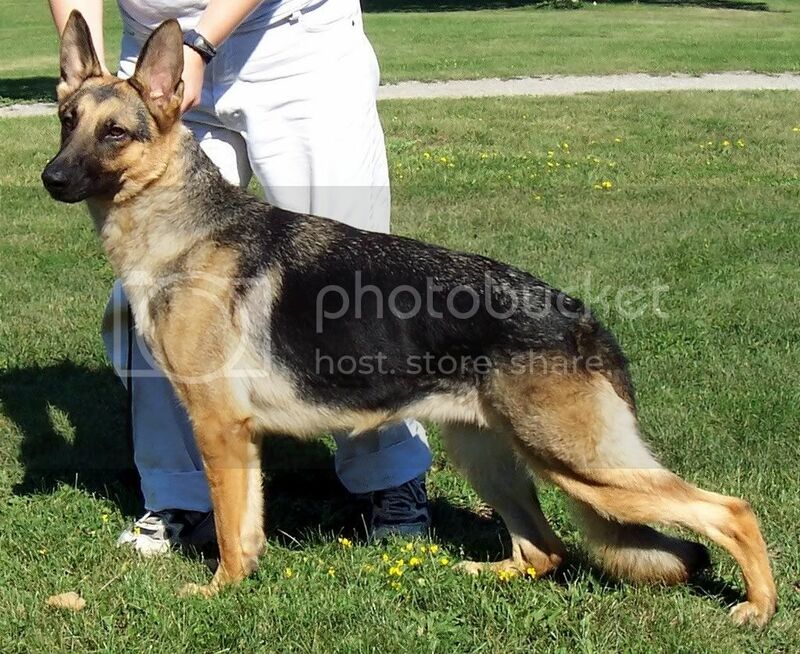 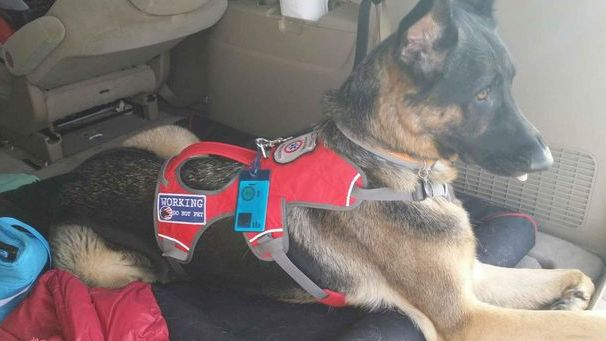 This title includes very long detailed tracking, full obedience and very extensive protection. 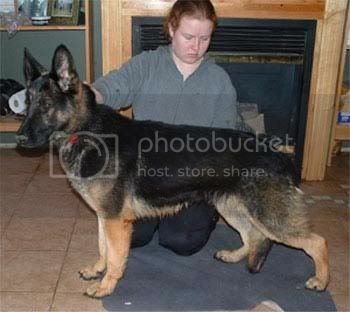 Similar to Schutzhund 3 however v very demanding and much more realistic. 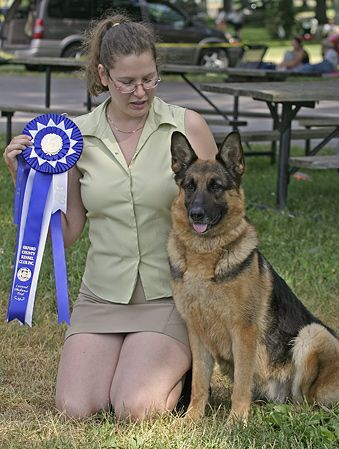 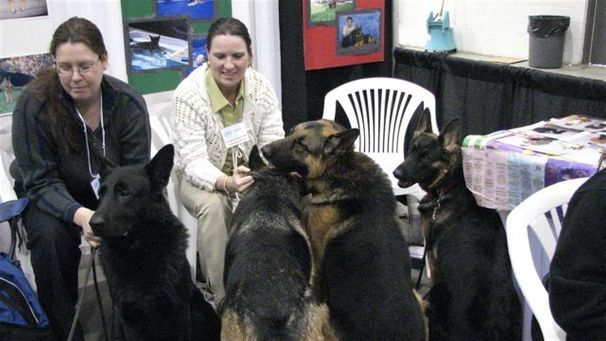 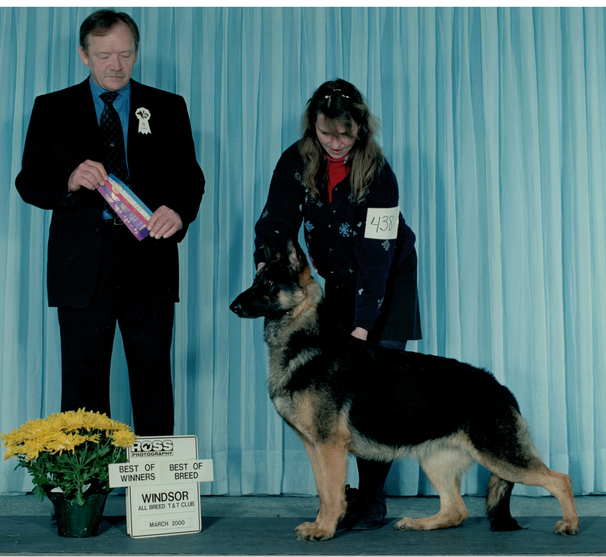 To help you with your Educational Dog Trials & Title learning experience, please visit the official Canadian Kennel Club website link below. 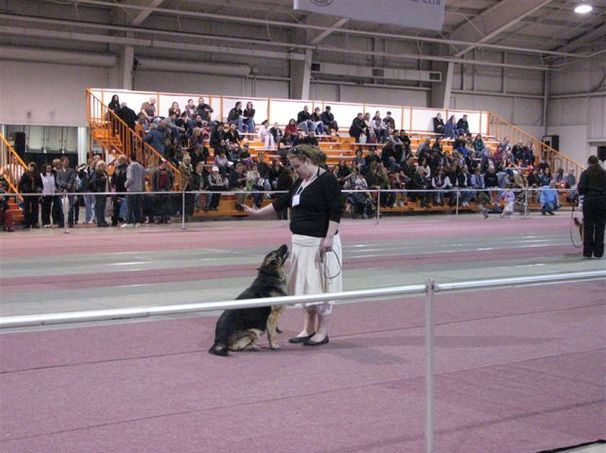 To help you with your Educational Dog Trials & Title learning experience, please visit the official American Kennel Club website link below. 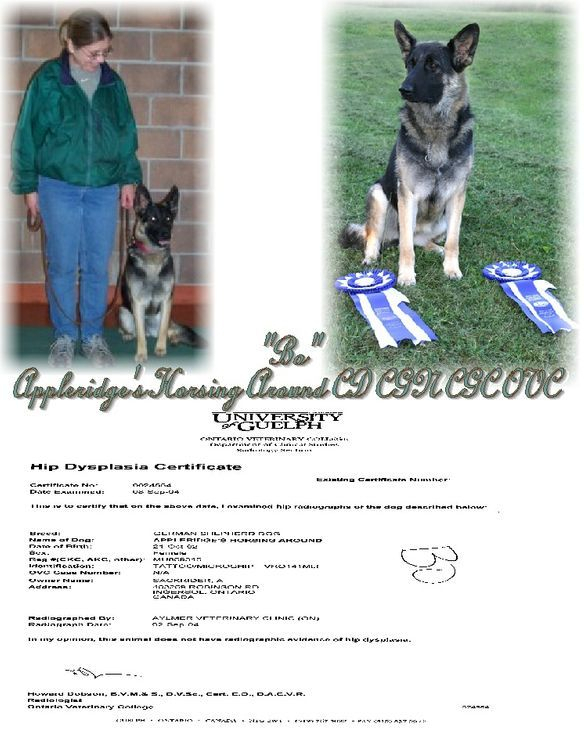 Click here for a printable copy of title meanings. 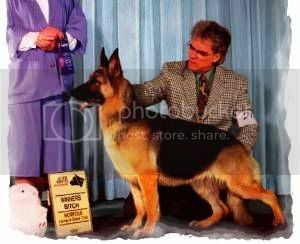 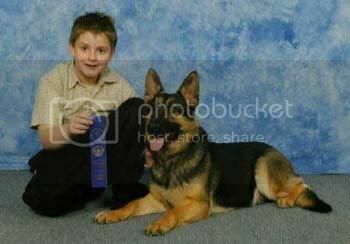 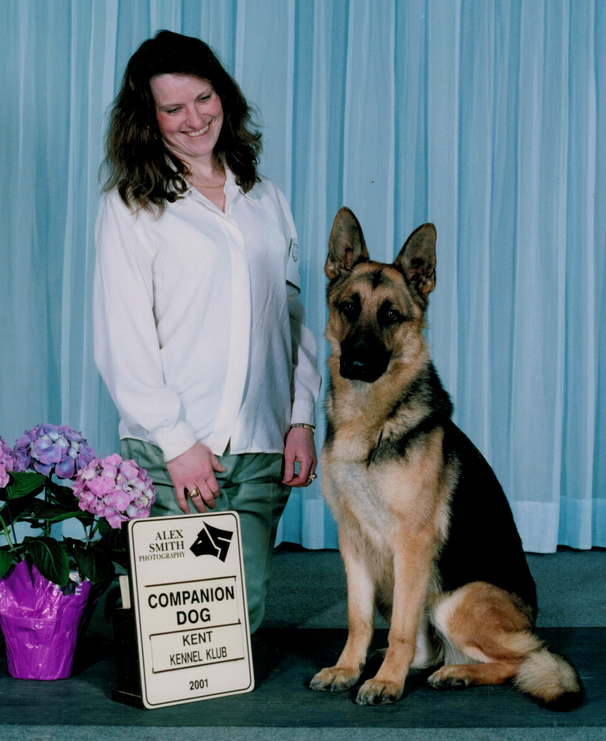 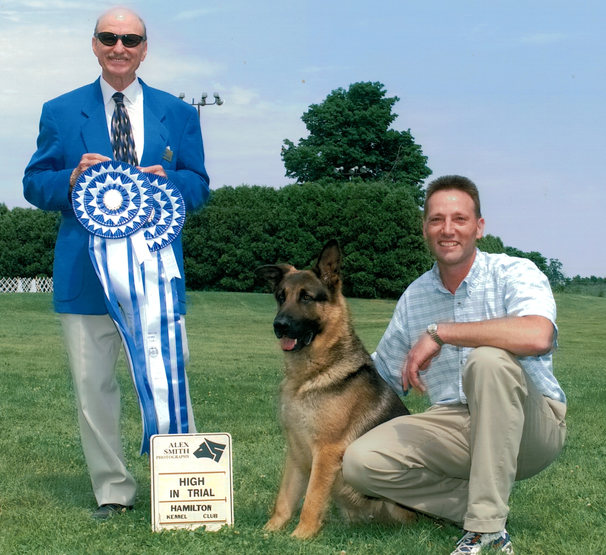 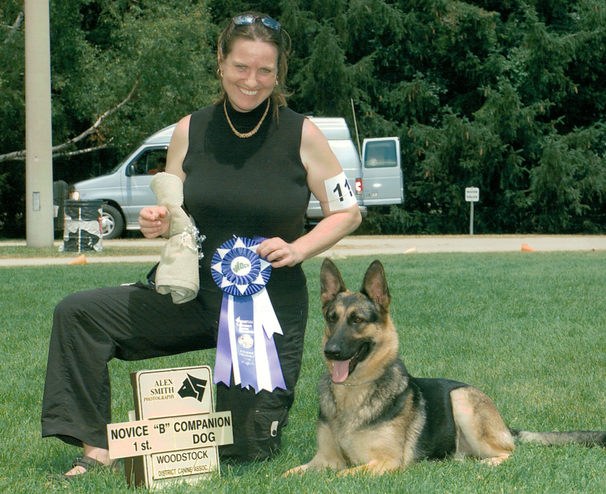 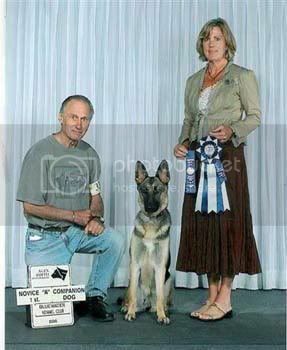 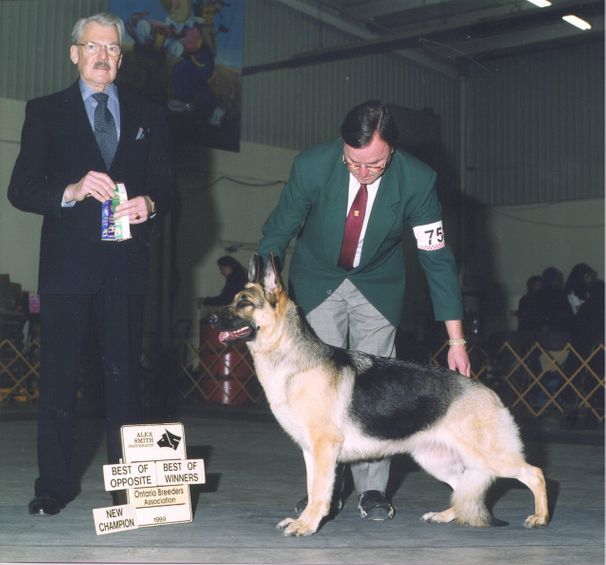 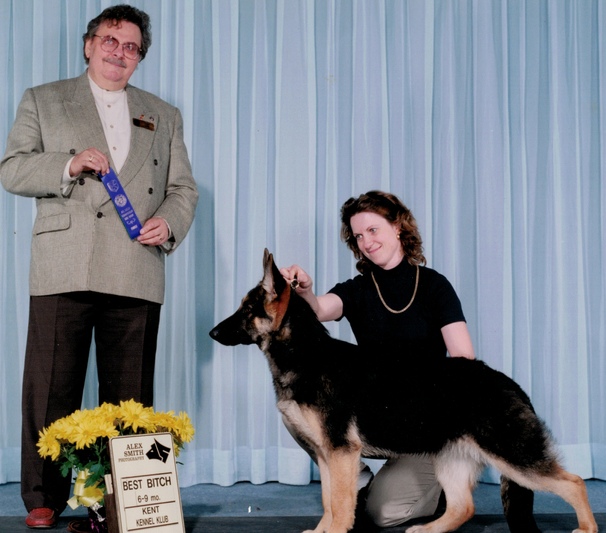 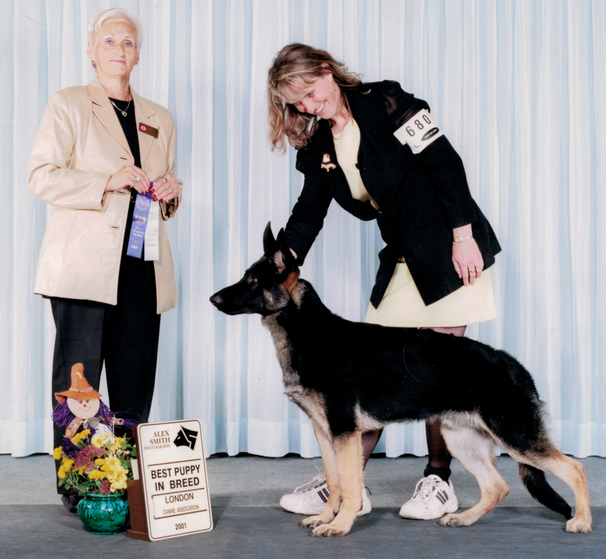 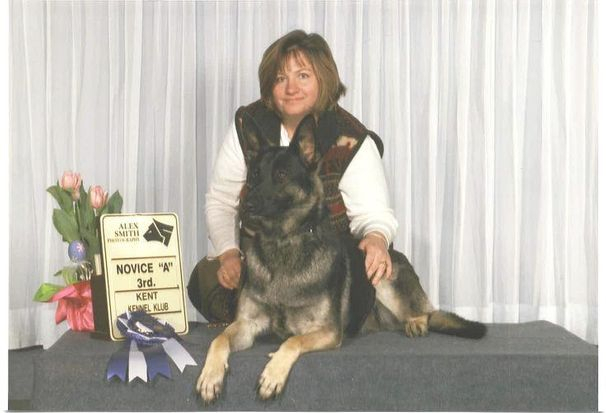 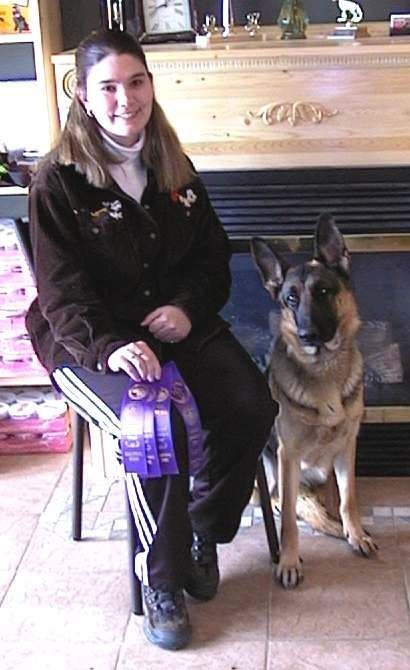 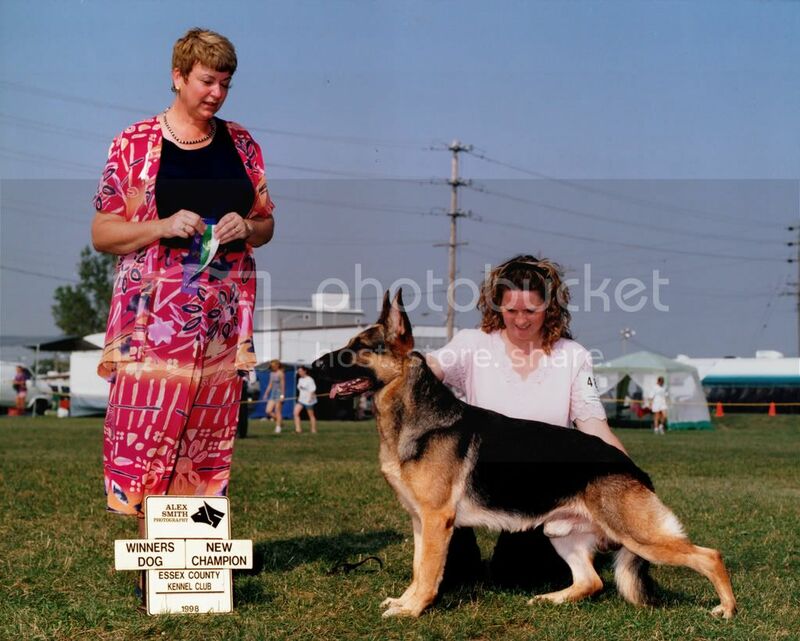 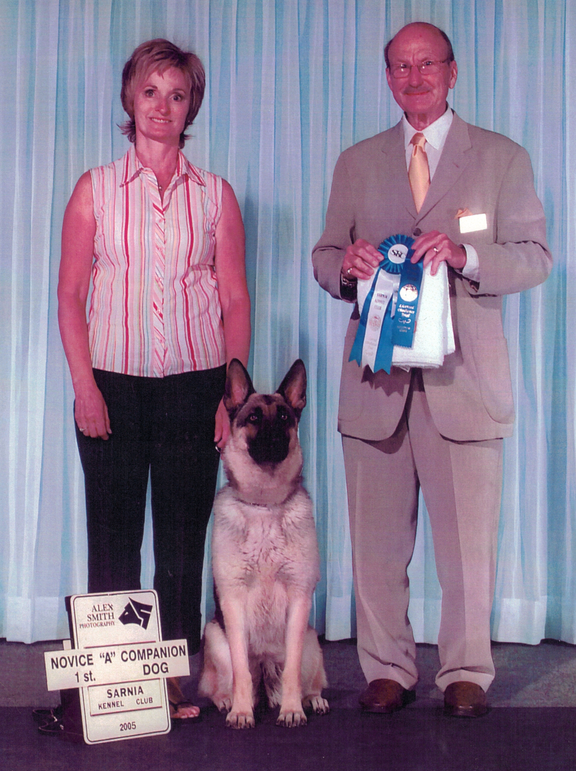 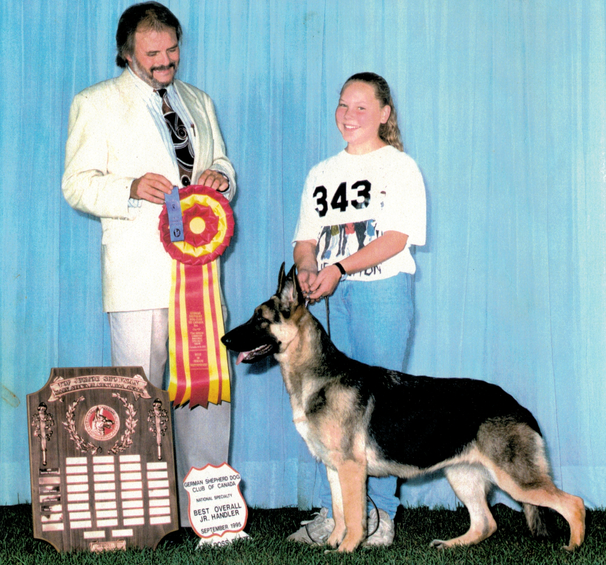 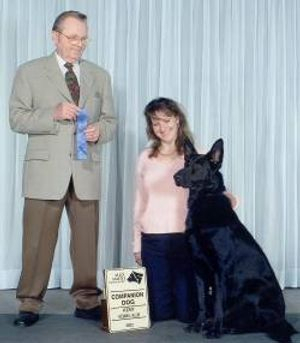 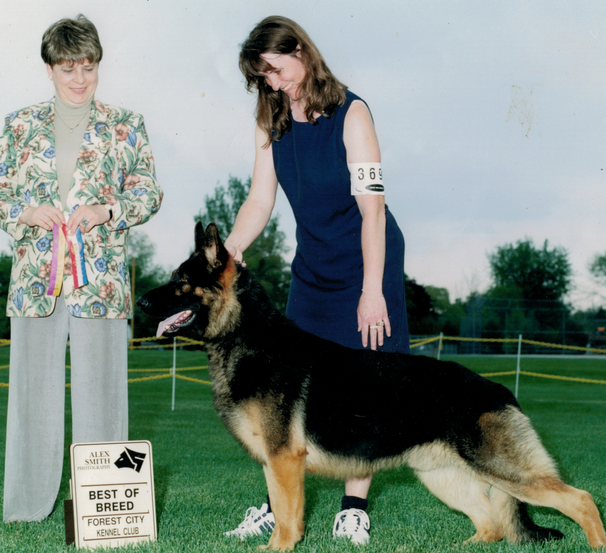 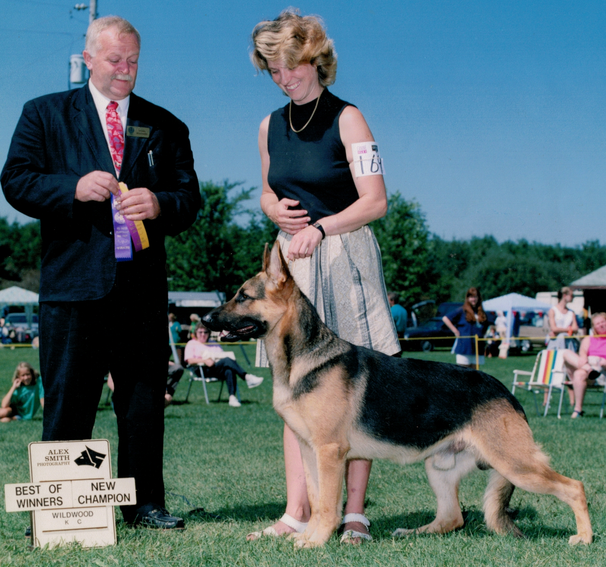 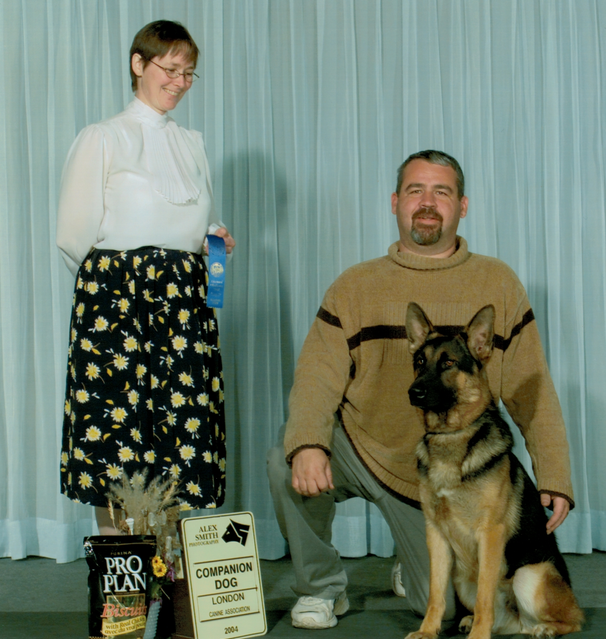 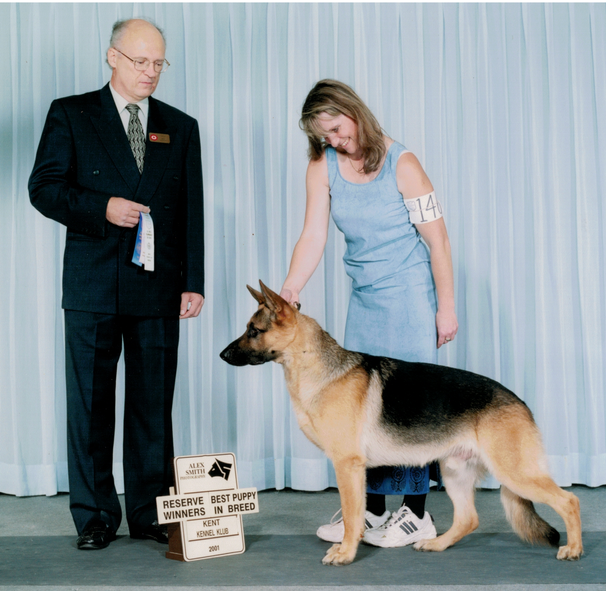 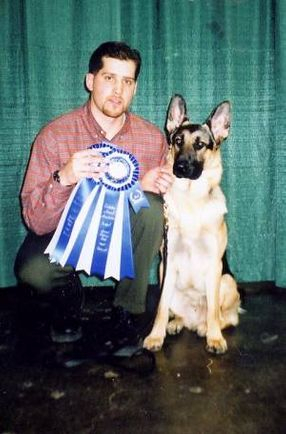 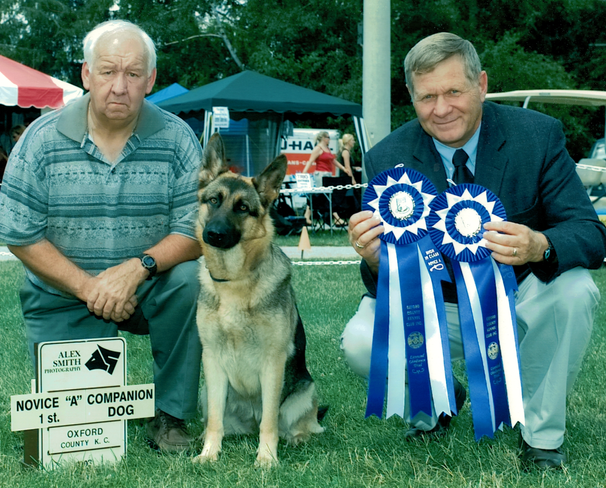 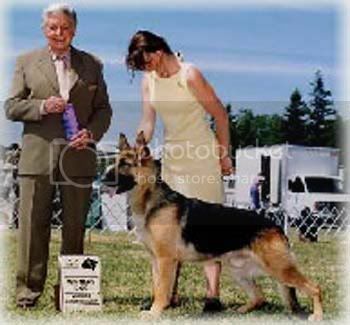 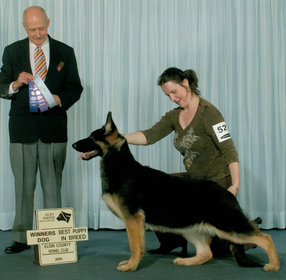 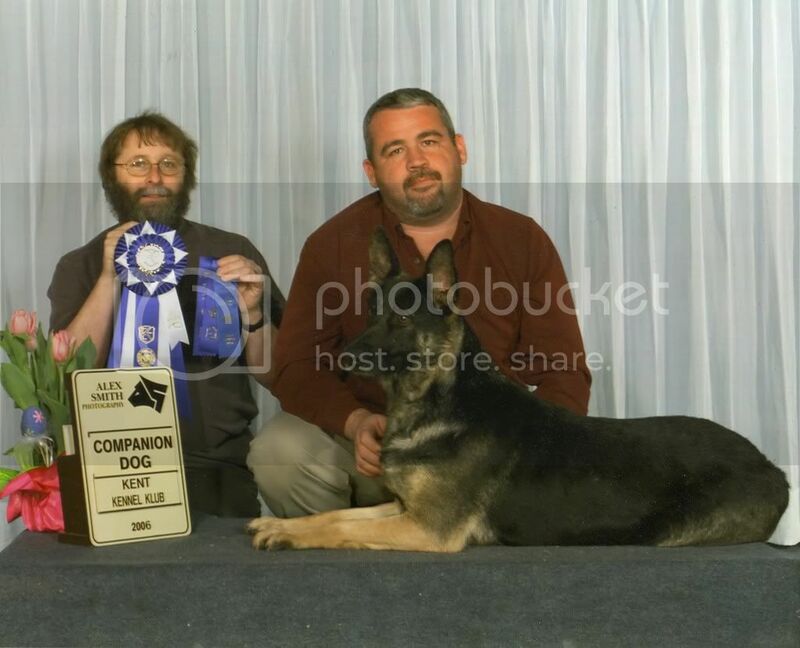 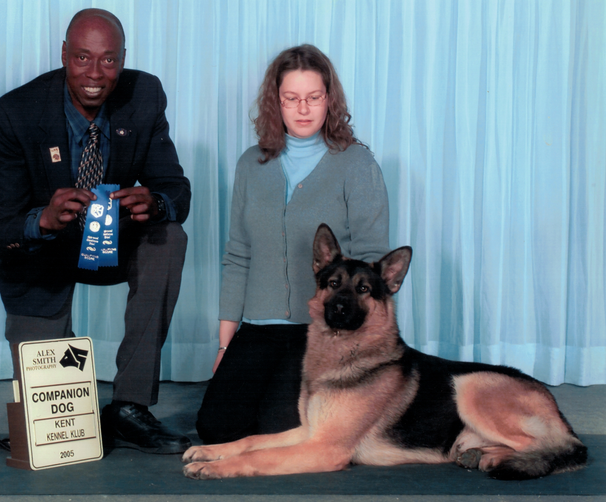 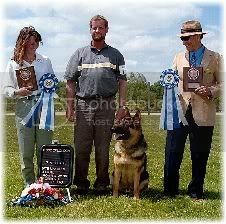 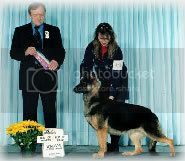 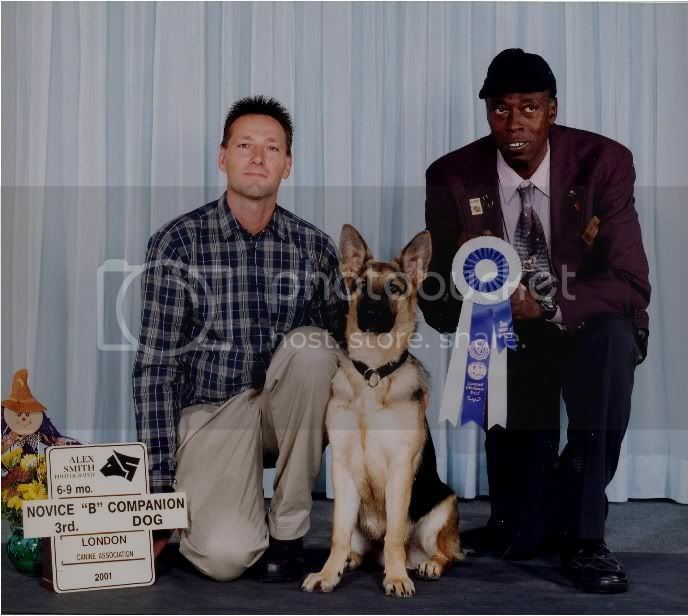 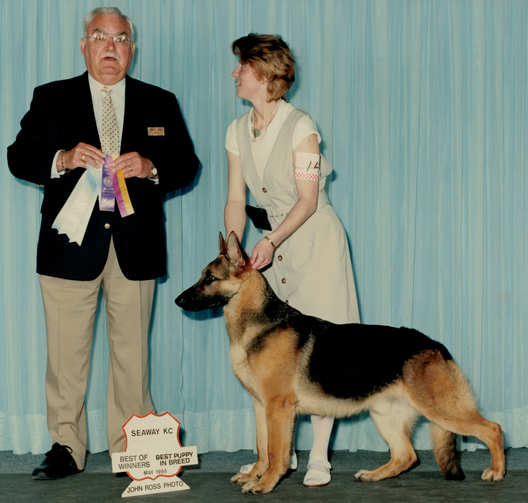 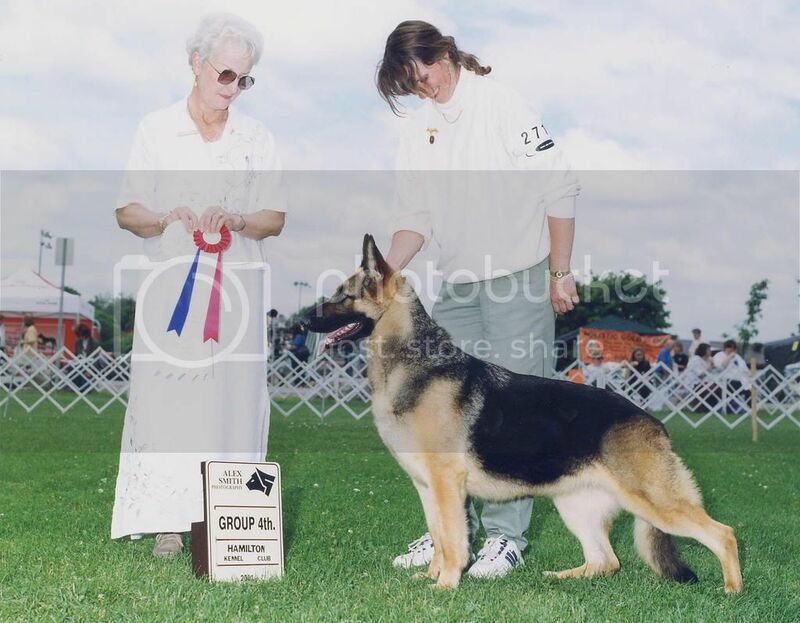 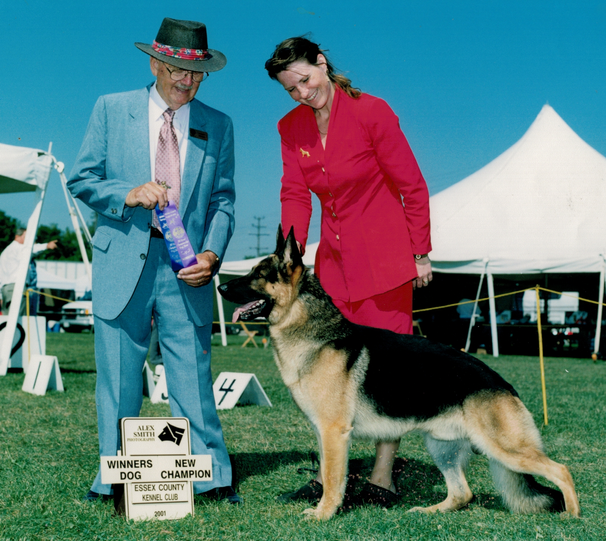 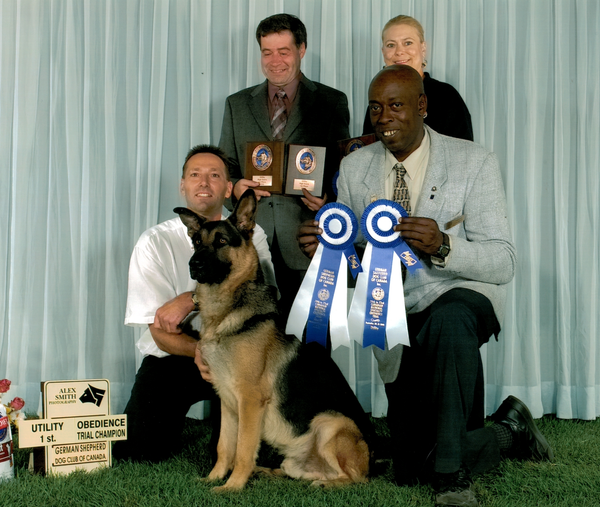 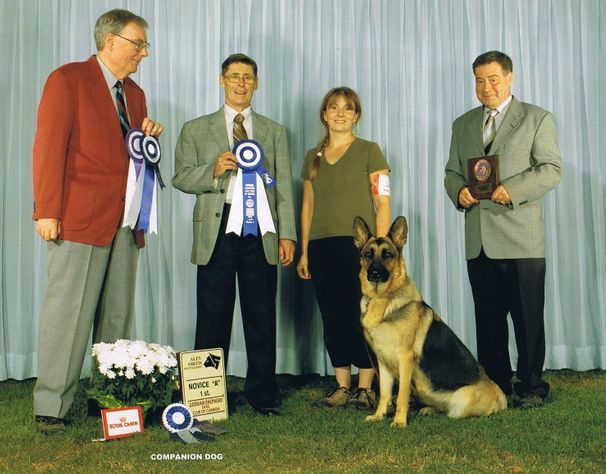 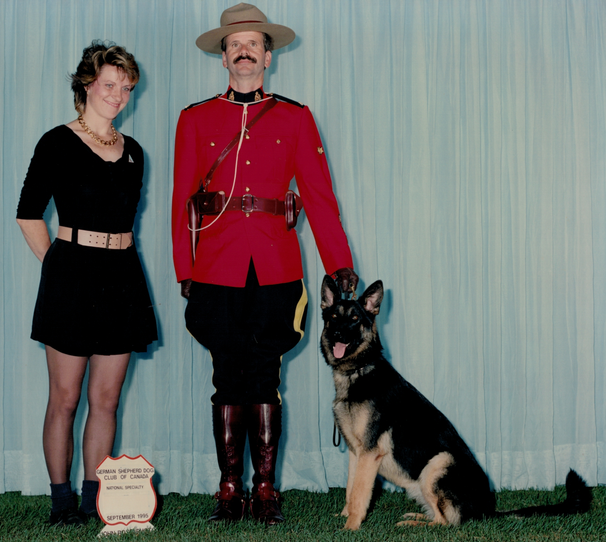 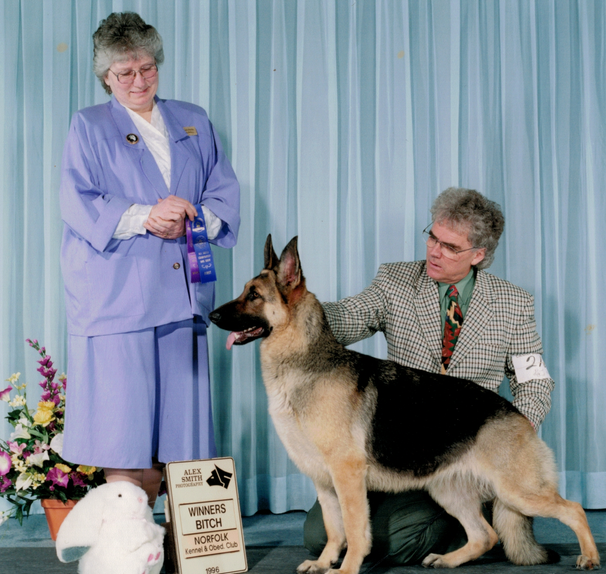 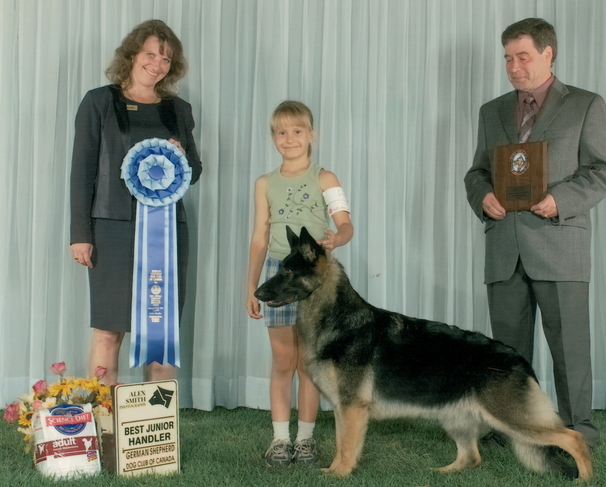 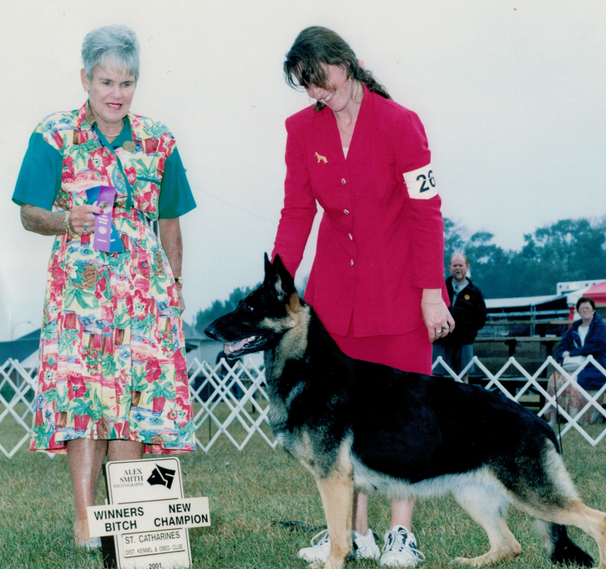 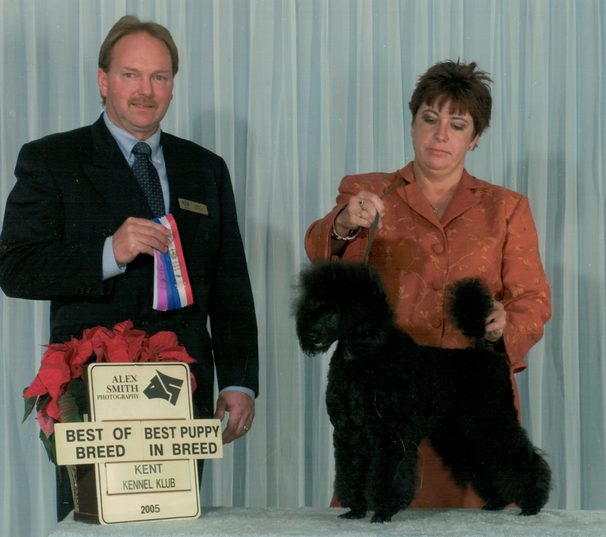 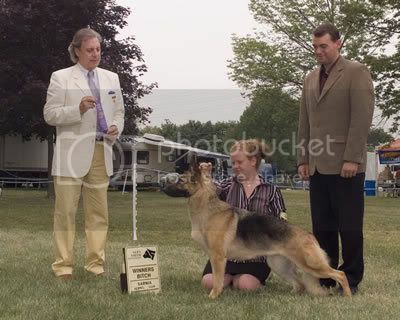 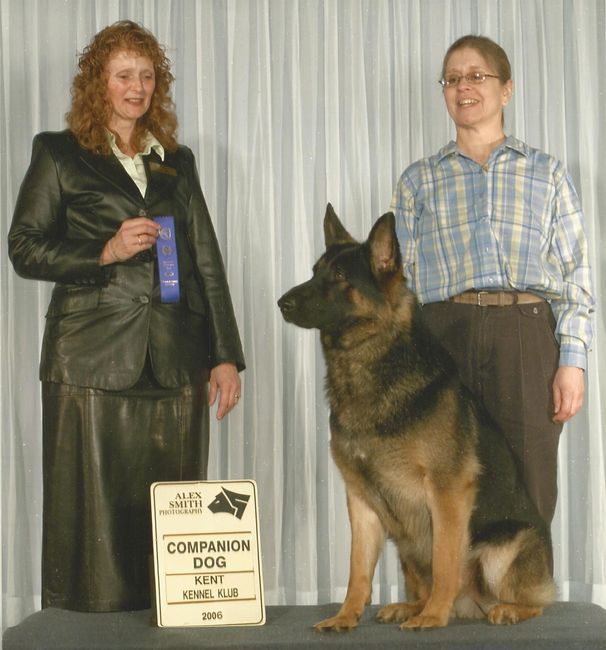 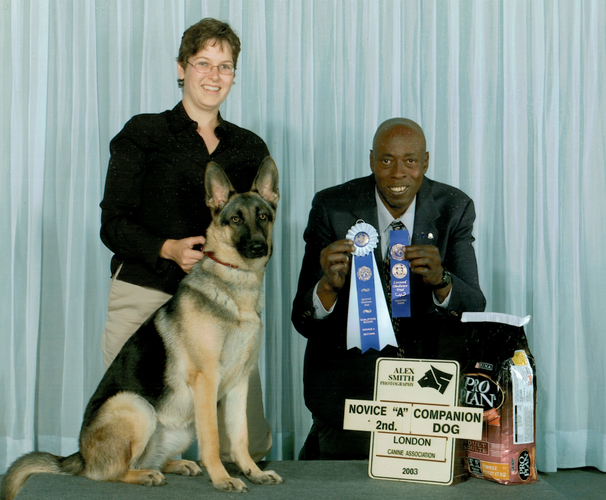 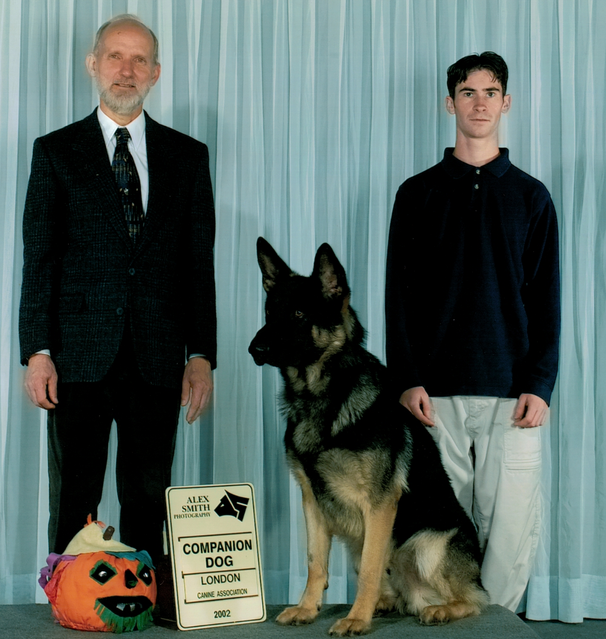 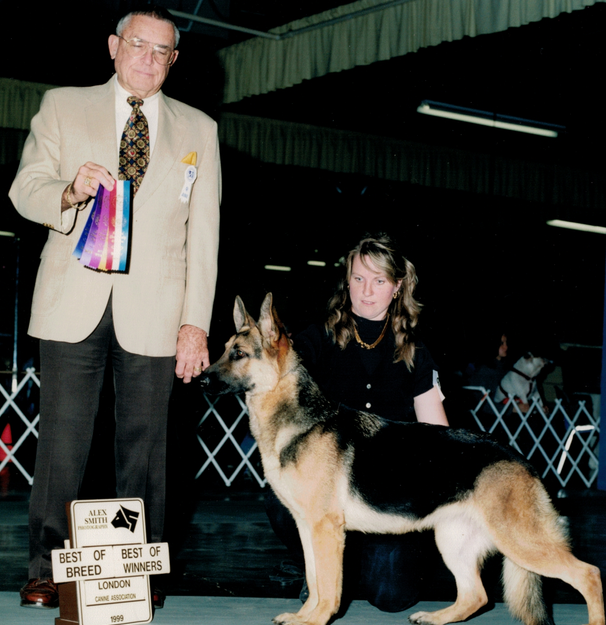 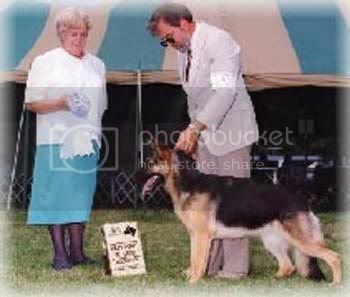 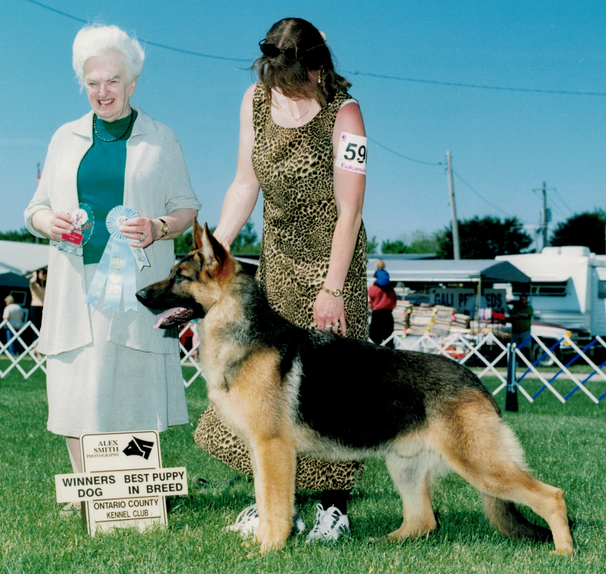 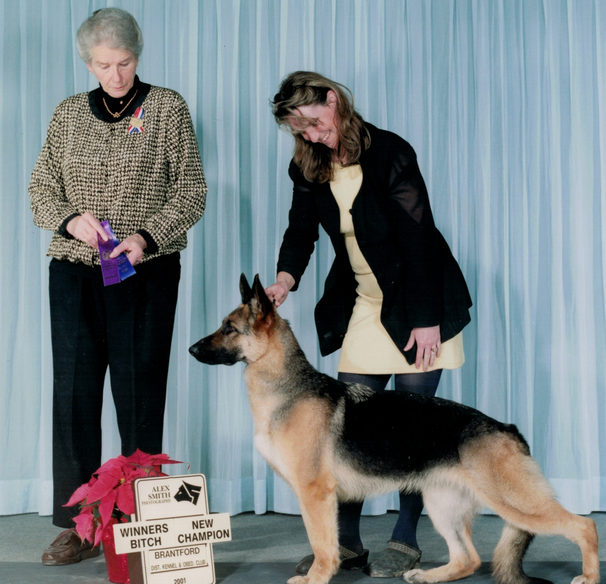 Conformation Titles – the dog is judged against its breed standard for its conformation, movement and how well it exemplifies the breed..
BIS – Best In Show: awarded to the top dog judged the best at a conformation show against all dog competing. 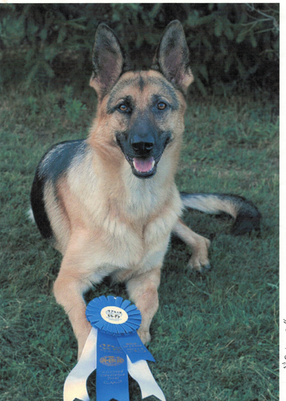 Field Trial Titles – bird hunting dogs compete against each other in their given breed in various hunting scenarios. 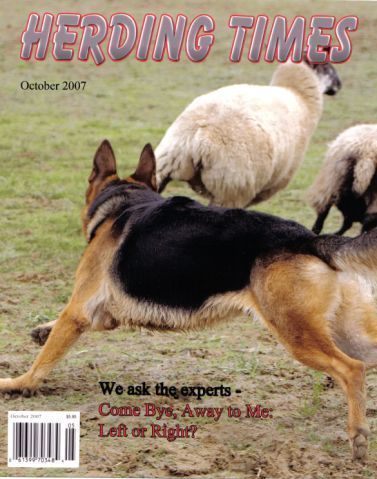 Retrieving. 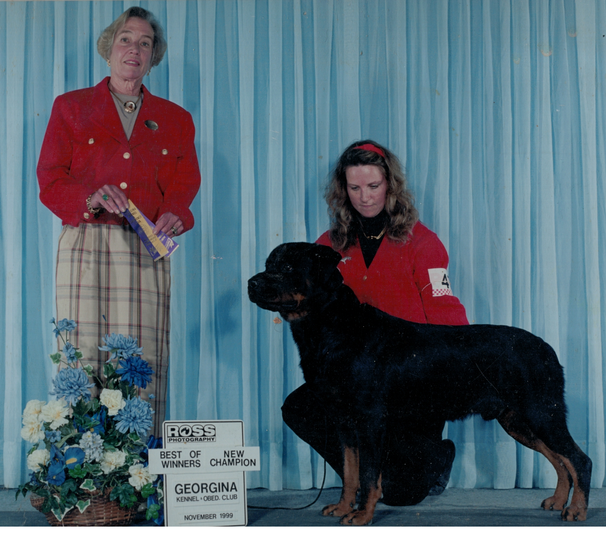 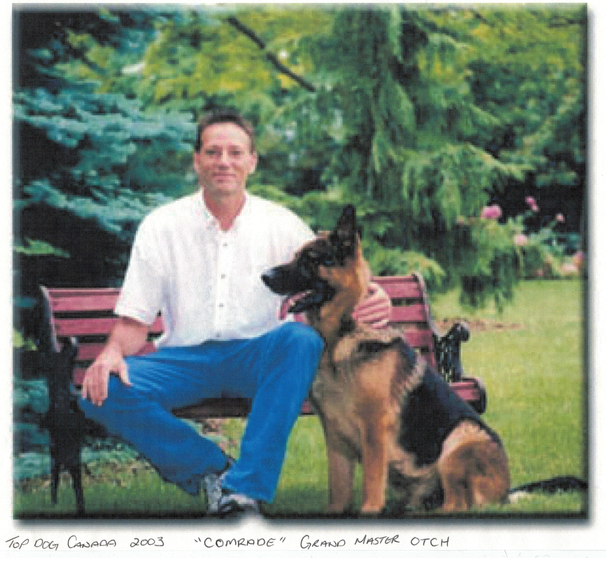 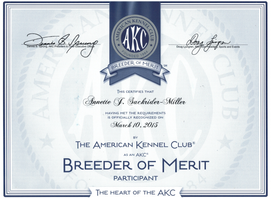 GMH -Grand Master Hunter –field test for retrieving breeds. 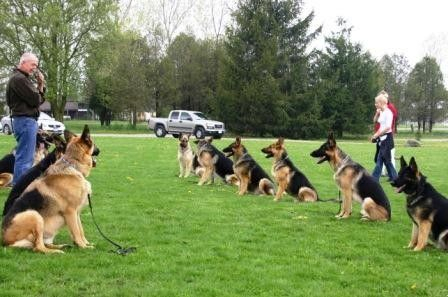 MH required. Hunt Test Titles – dogs are judged against a standard – not each other – and have to complete various hunting scenario tasks in order to achieve titles. 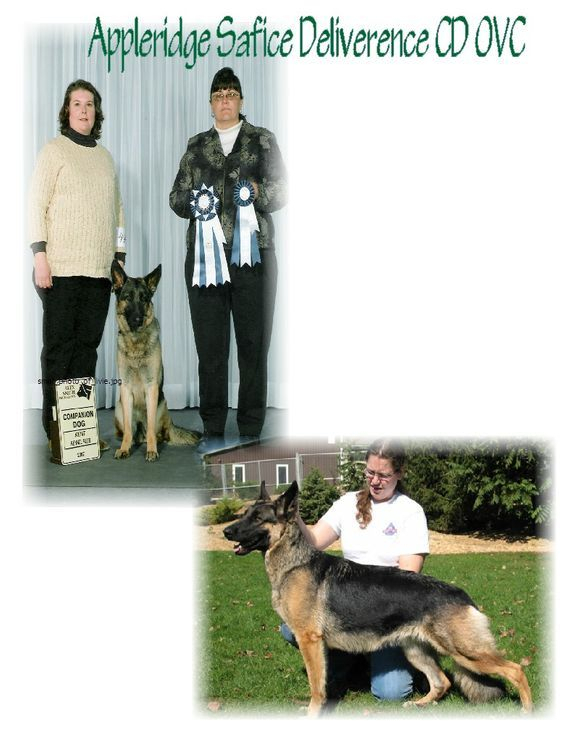 In and out of water. 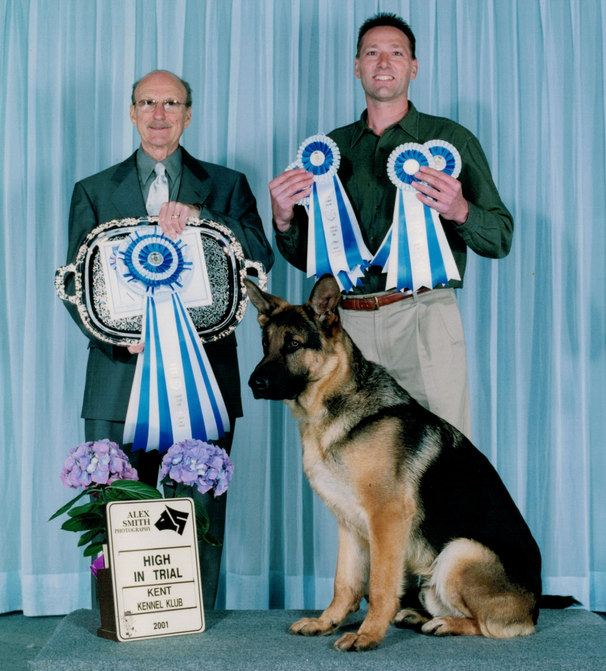 Working Certificate Titles – Retrieving Tests in and out of water. 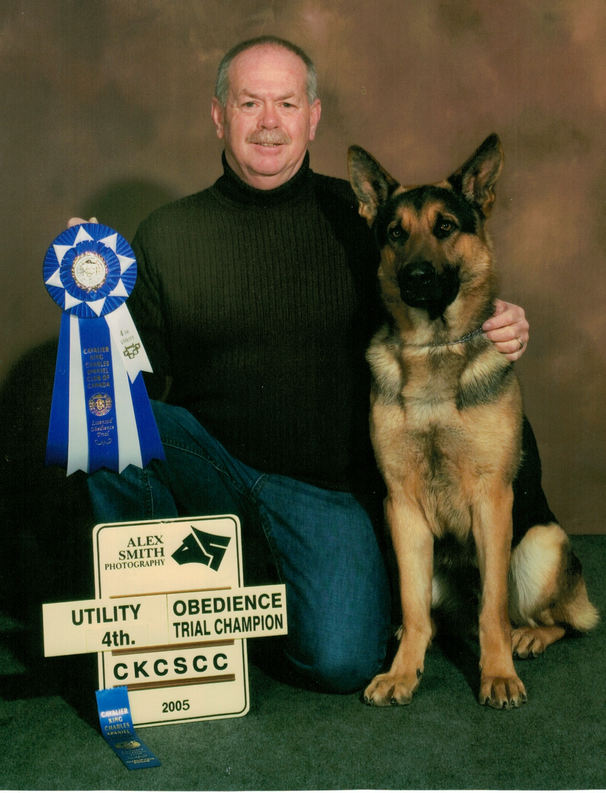 Obedience Titles –titles that you achieve points on how well your dog responds to certain commands and obstacles as well as retrieving tests and heeling exercises. 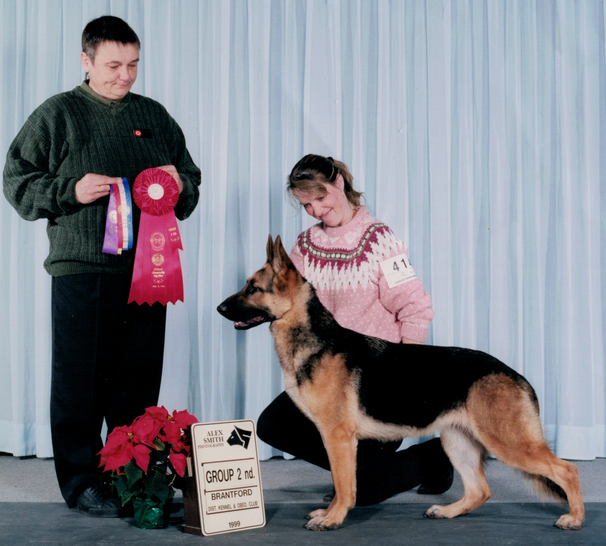 Field Titles for Pointing Dogs – Pointing breeds in the sporting group are judged on their working ability in the field. 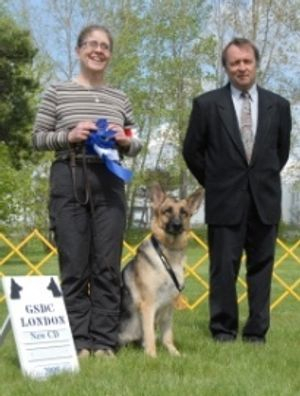 CGN– Canine Good Neighbour: a series of tests to determine if a dog is well trained and obedient in public. 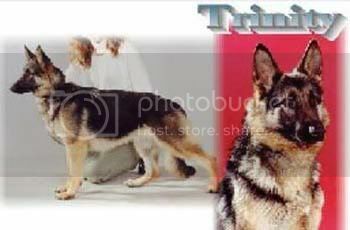 TT – Temperament Tested: the dog must pass certain tests that indicate if it has a stable temperament. 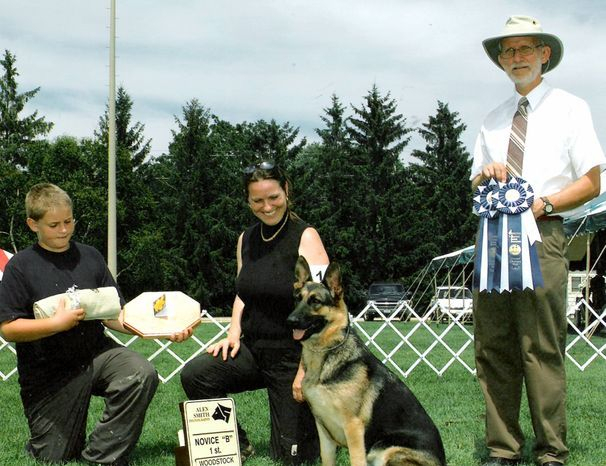 BIF – Best in Field: awarded to the top coursing hound at a trial. Please also visit Canada's Dog Breeders, www.canadasdogbreeders.com, for more information on Labrador Retrievers and other CKC registered breeds.